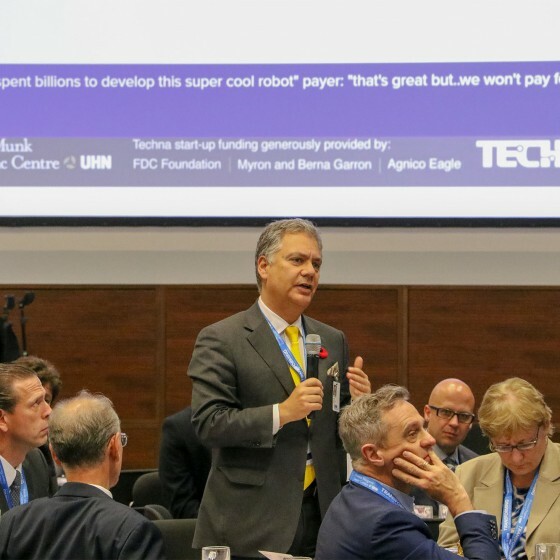 Technological Innovations are changing the very nature of our collective connectedness. 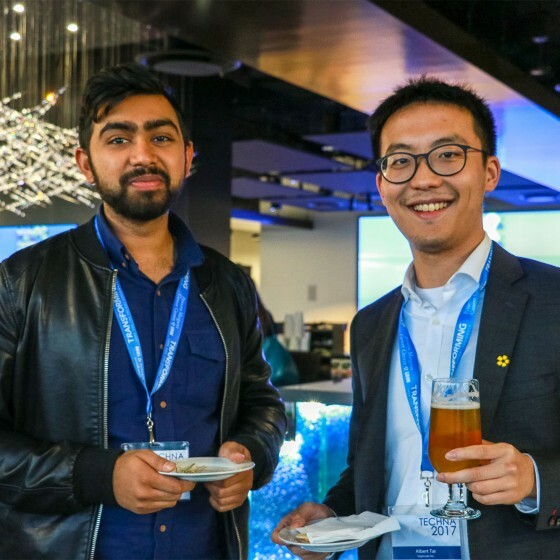 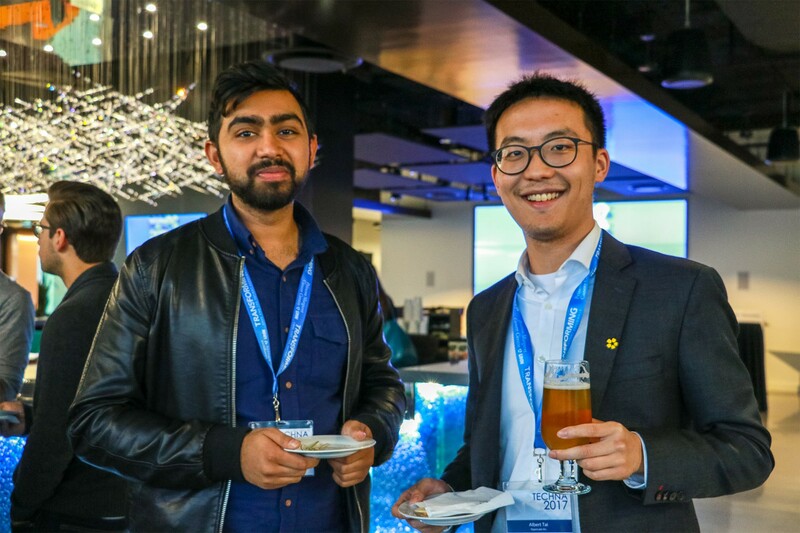 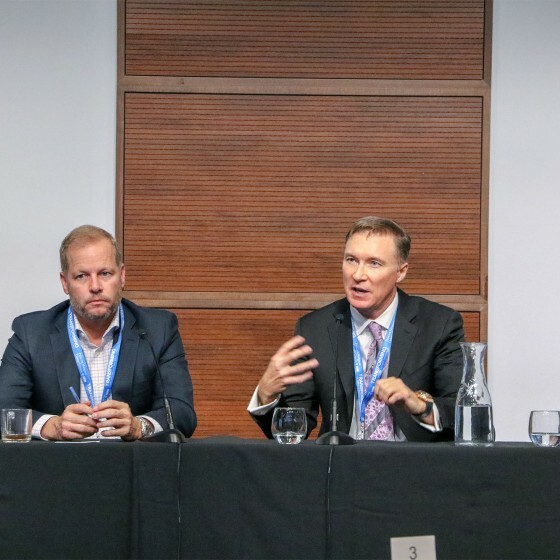 Digital connectiveness is changing the way our generation is communicating with each other, how we define value, measurement and data value. 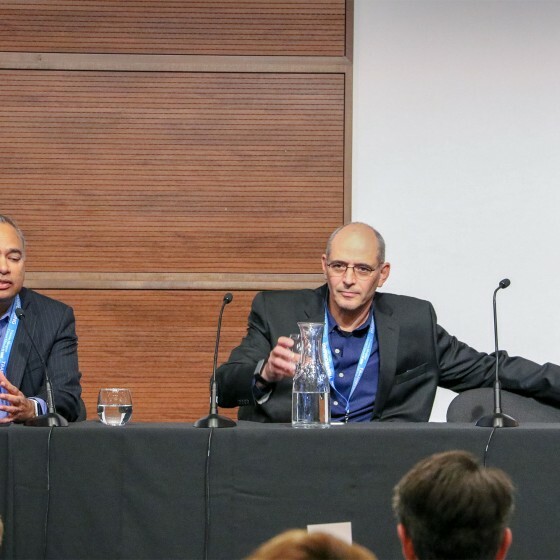 Measurement in context and digital capabilities. 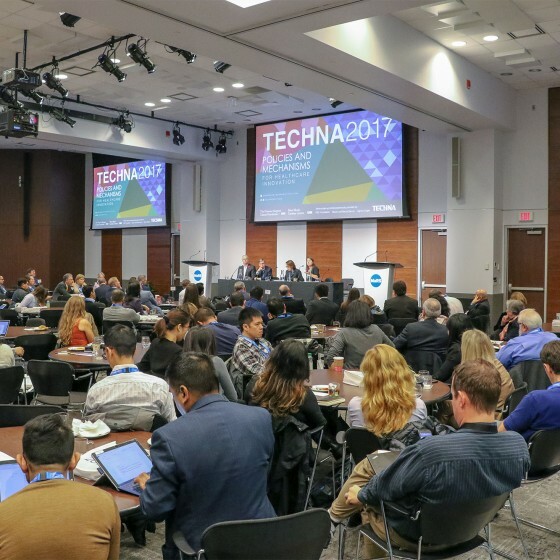 Technology is changing our world. 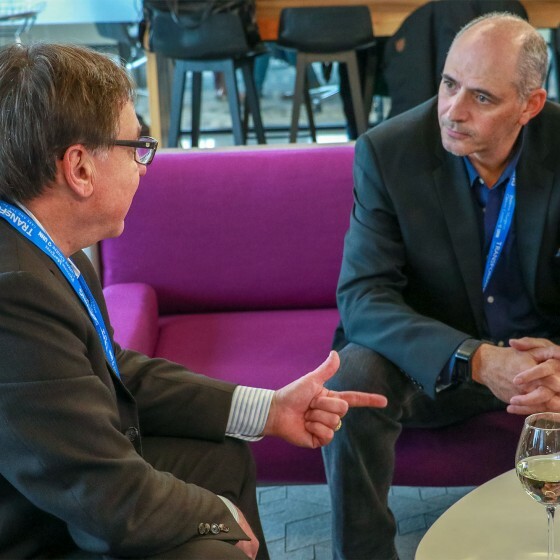 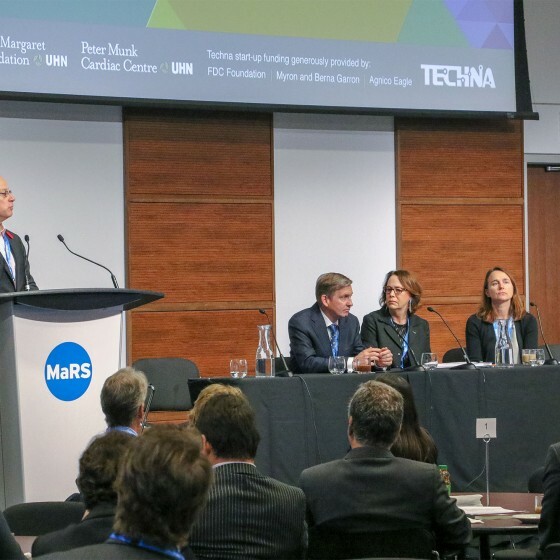 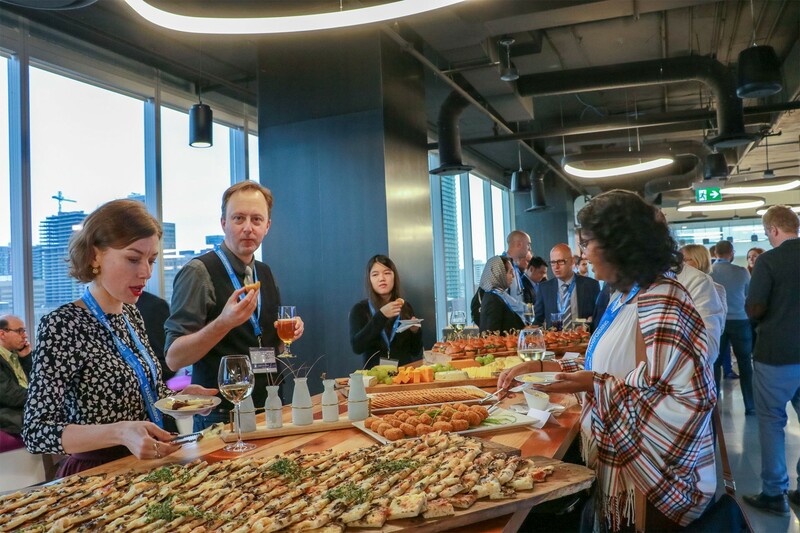 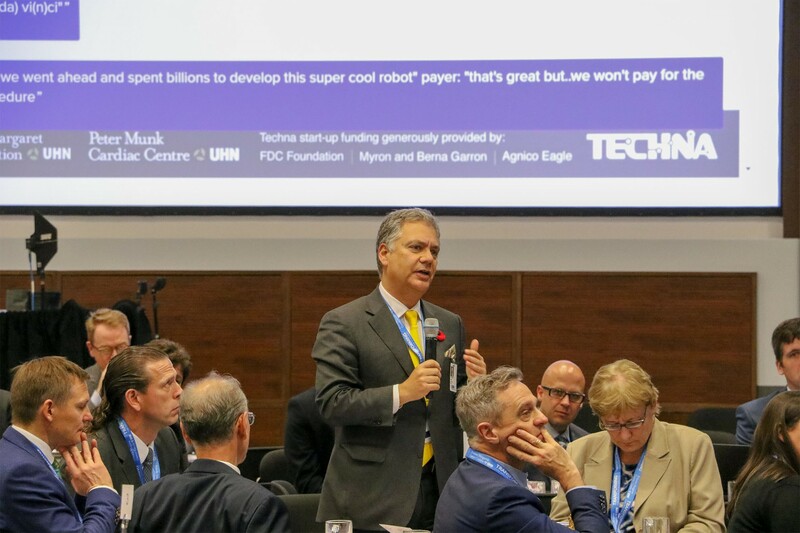 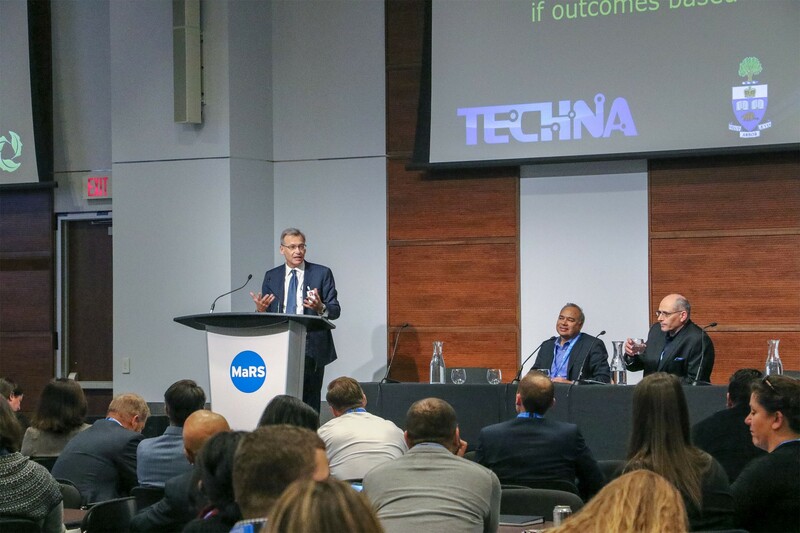 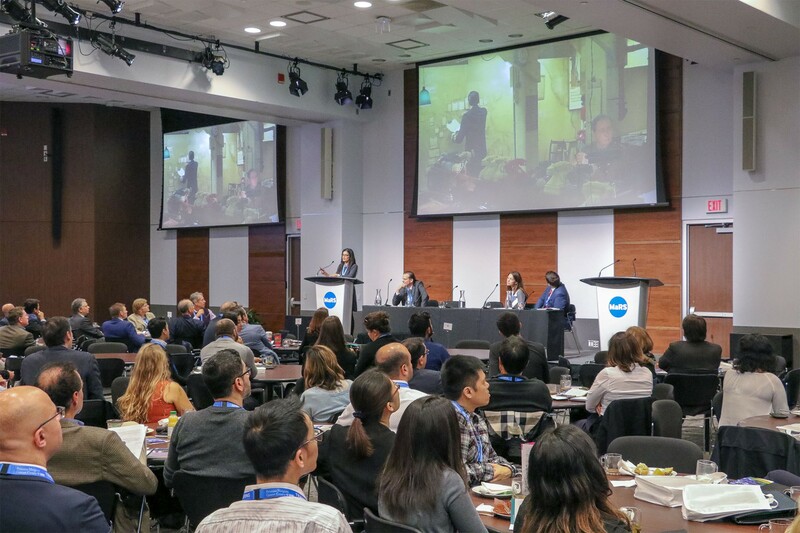 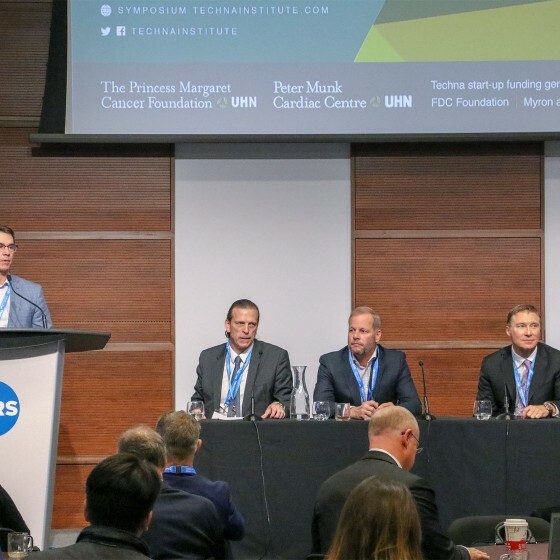 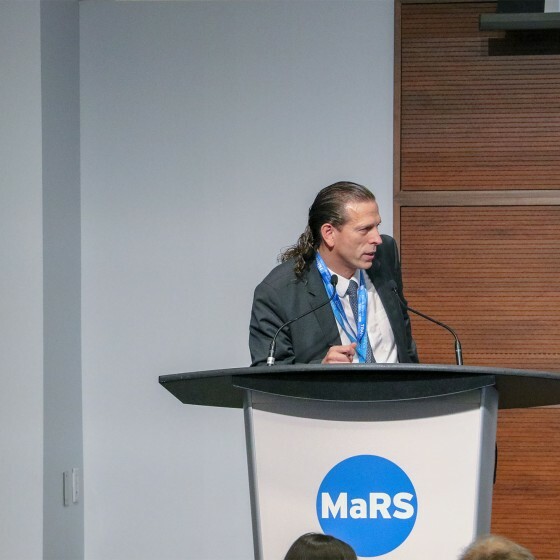 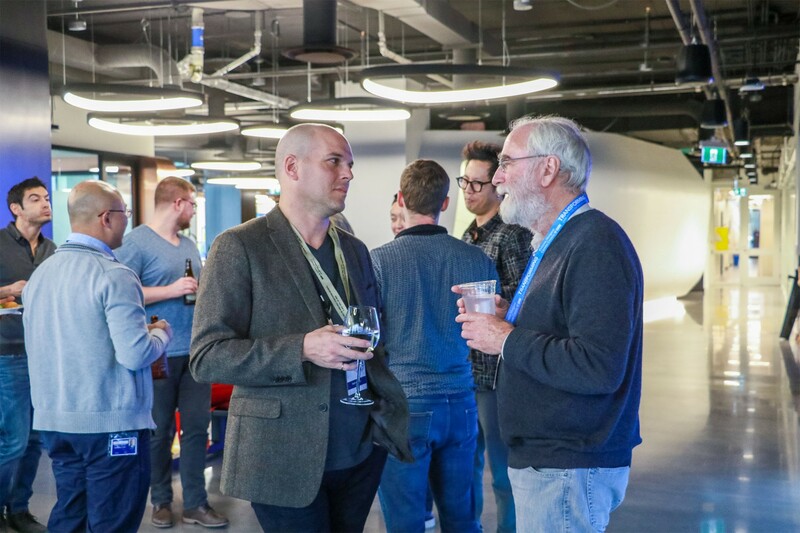 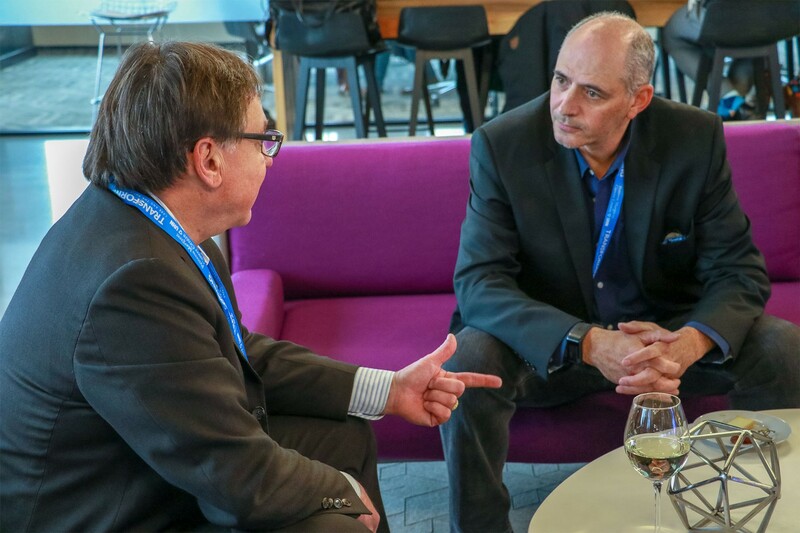 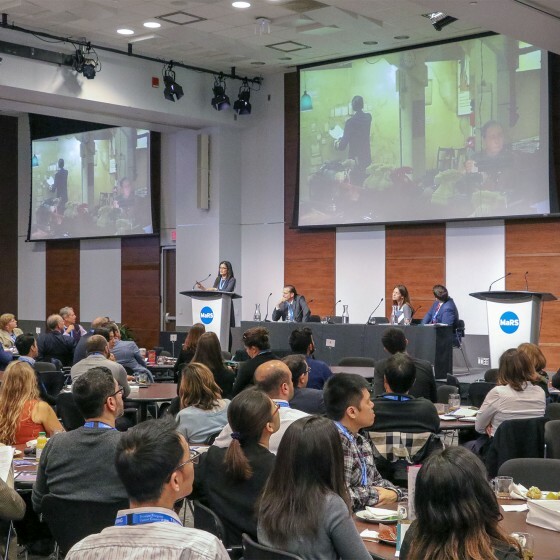 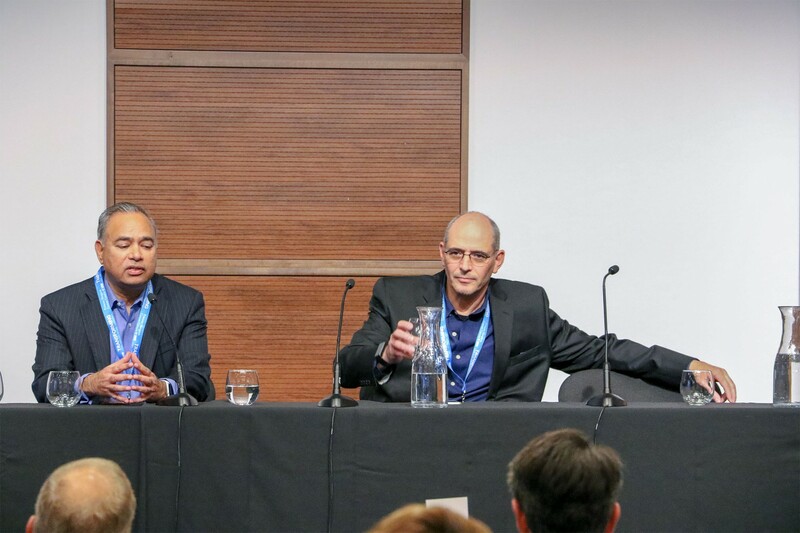 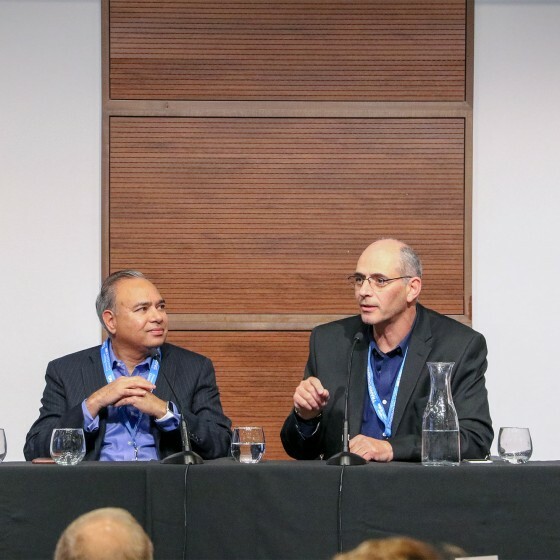 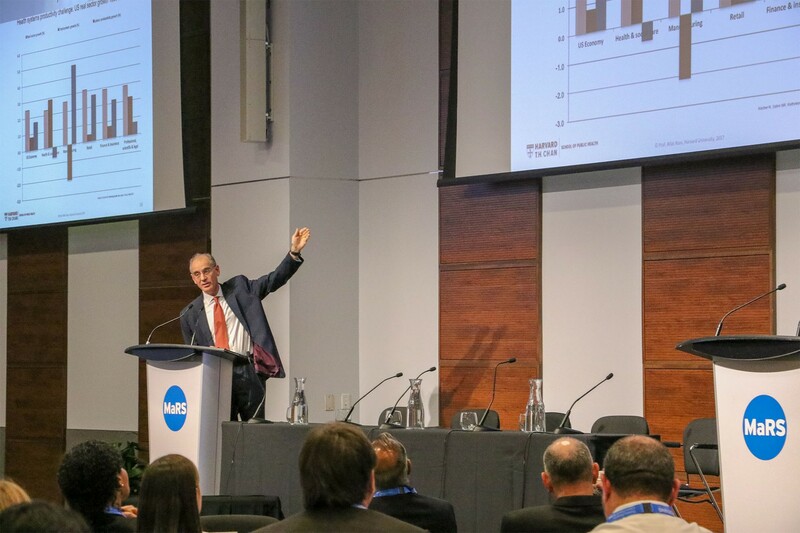 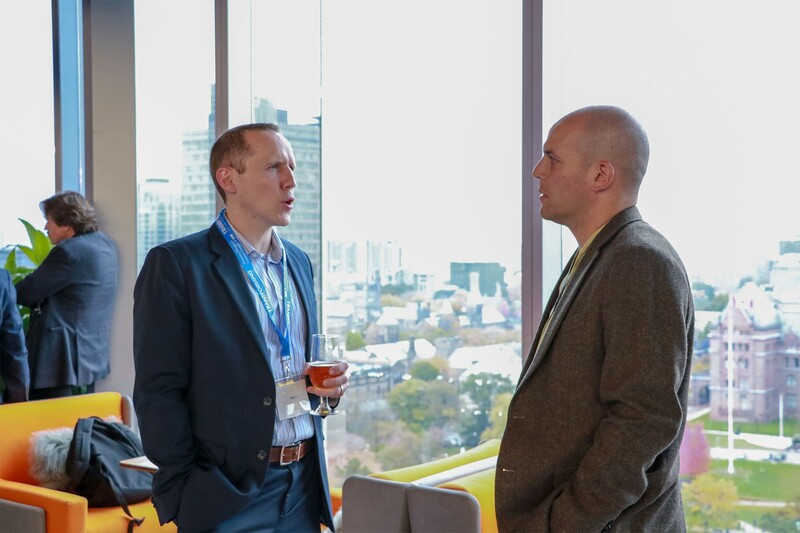 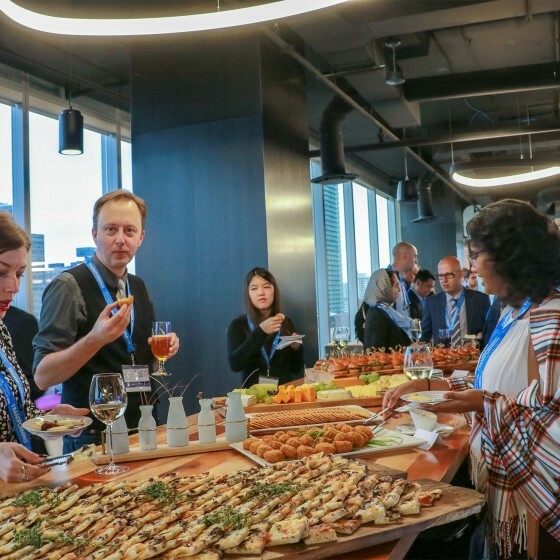 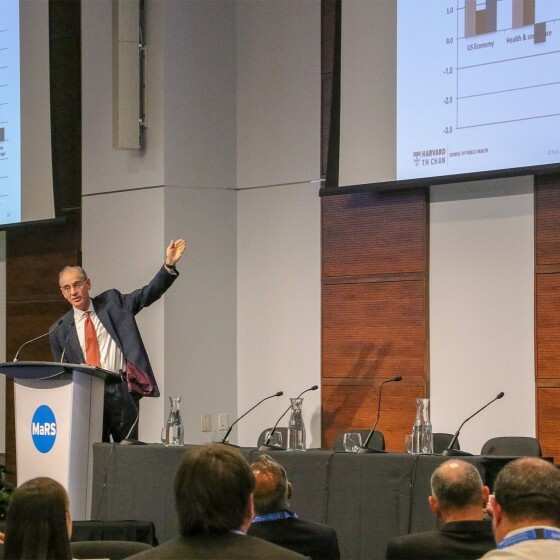 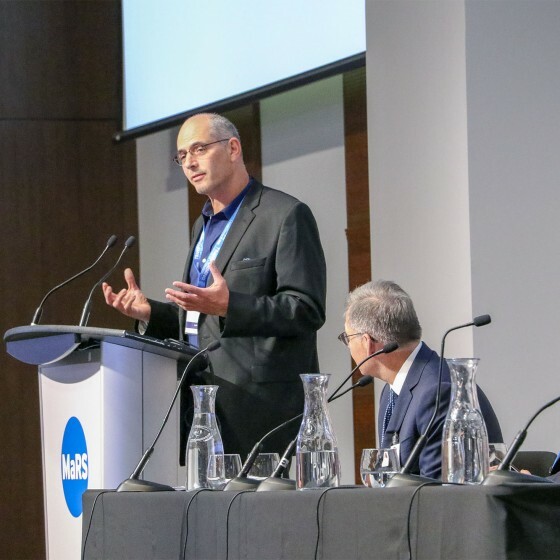 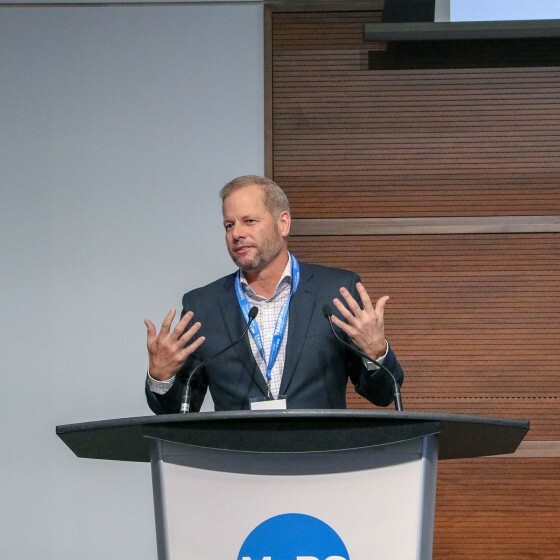 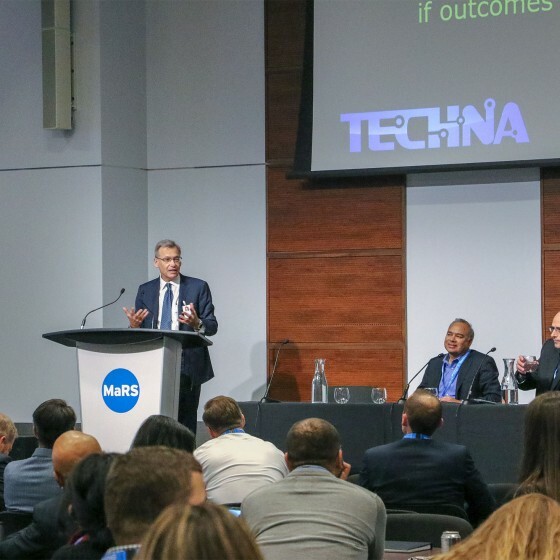 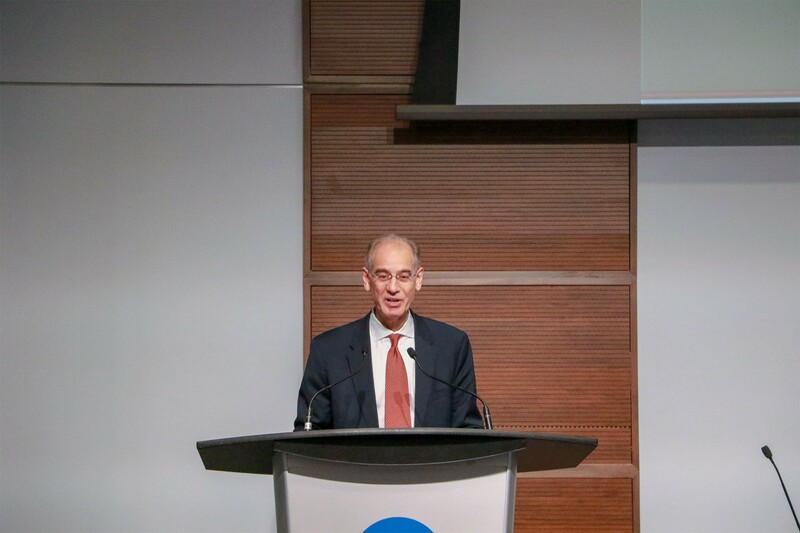 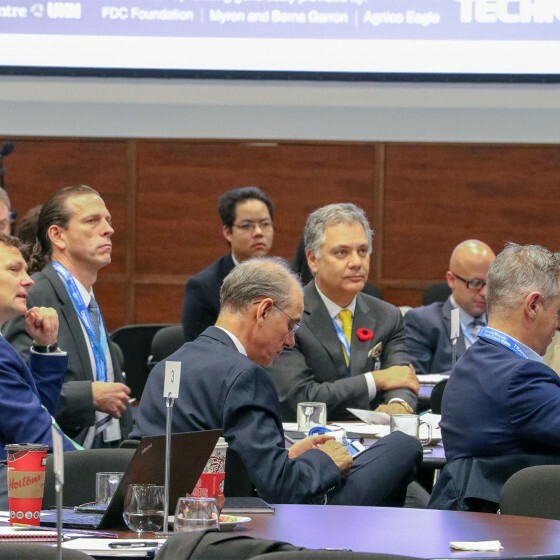 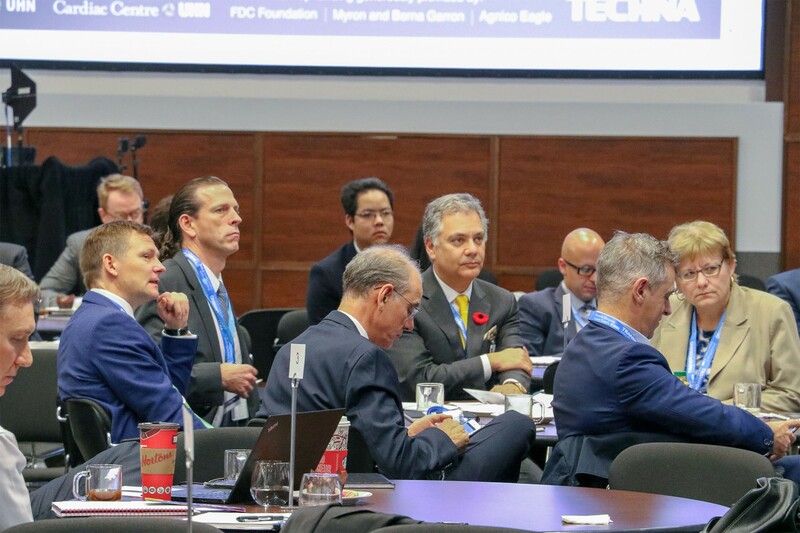 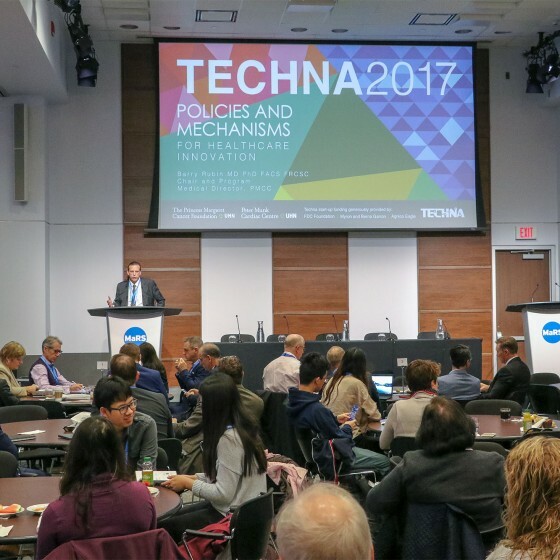 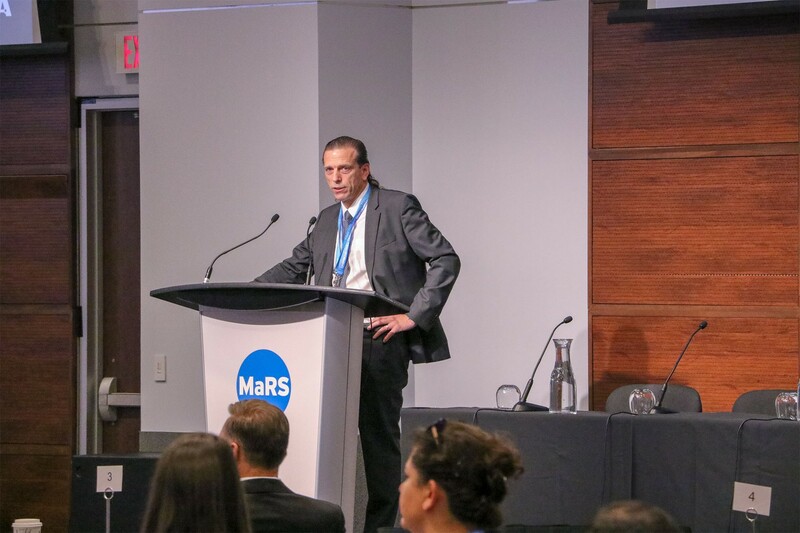 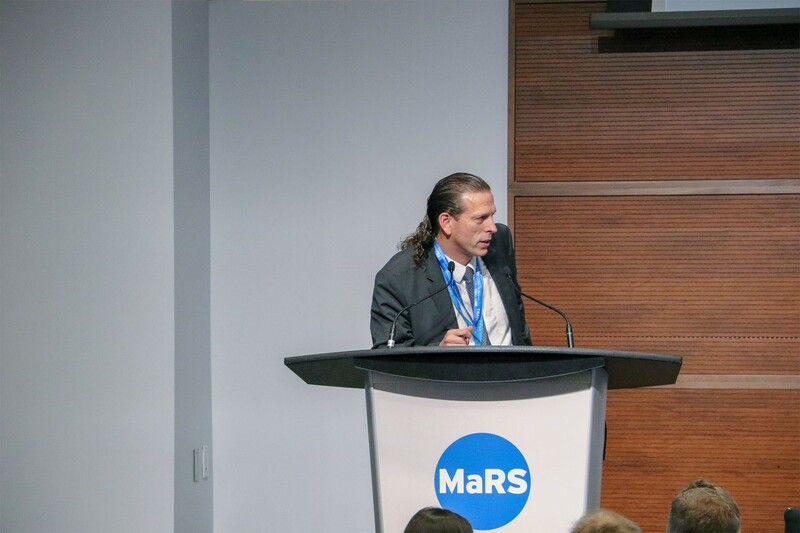 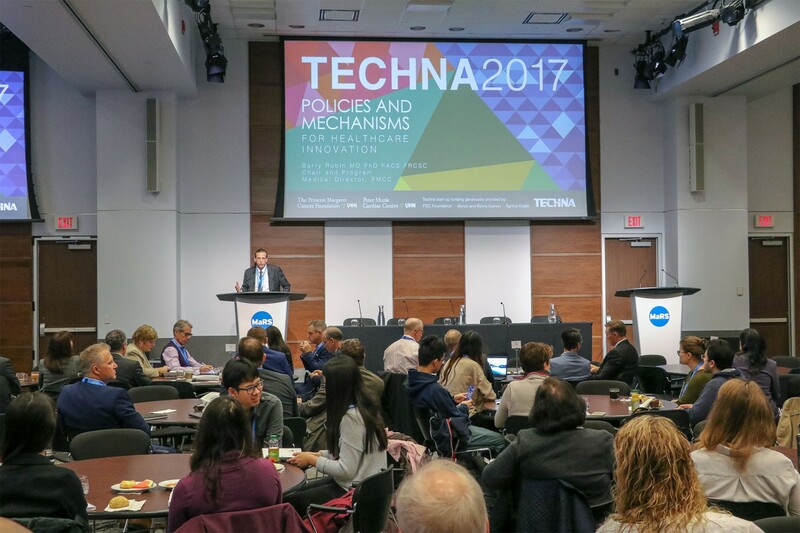 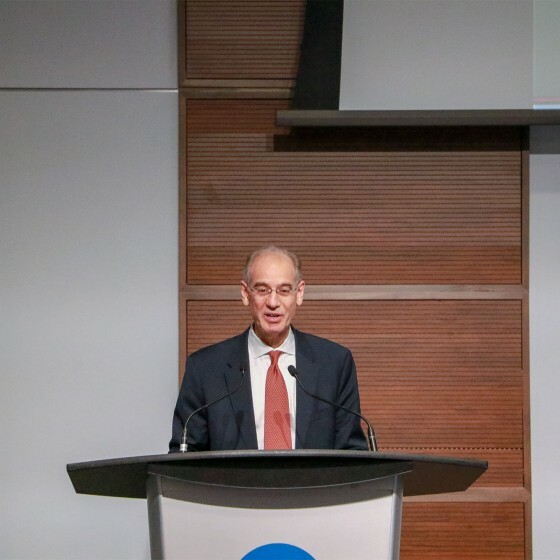 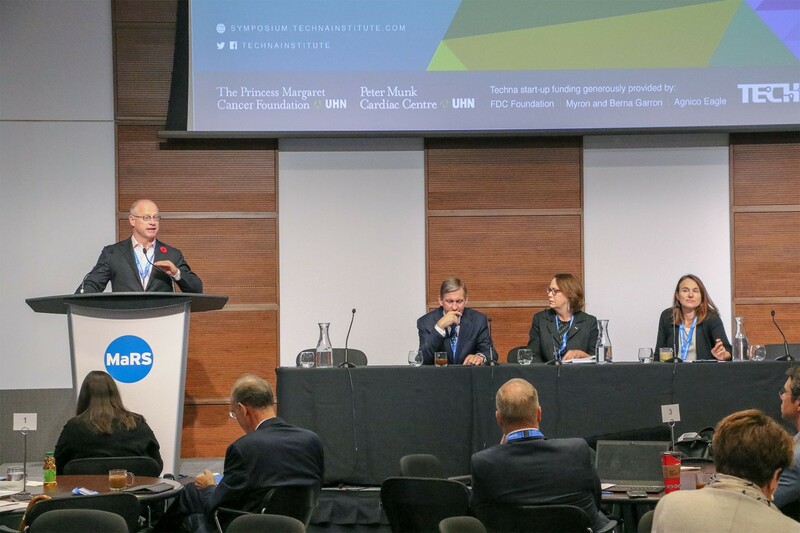 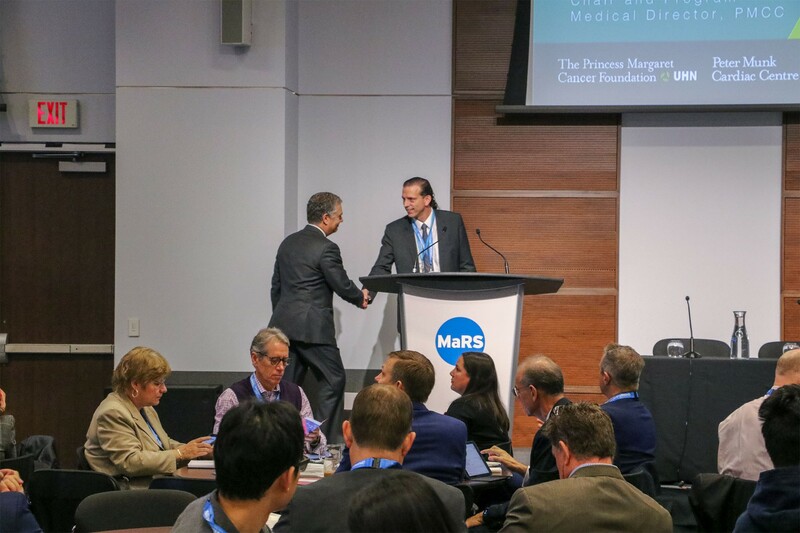 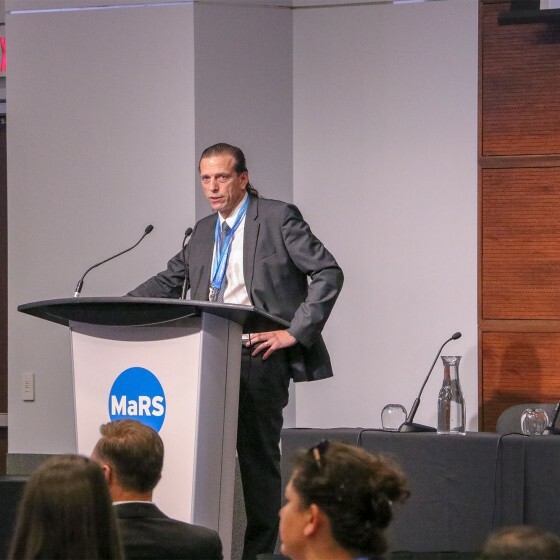 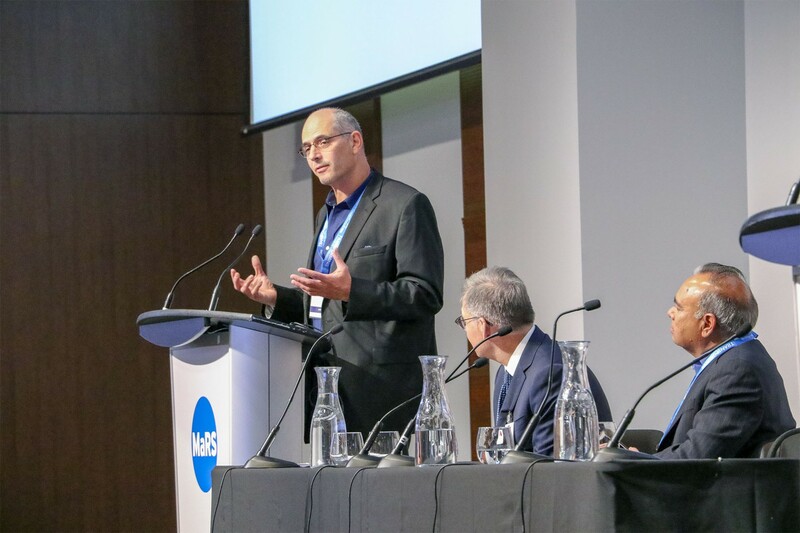 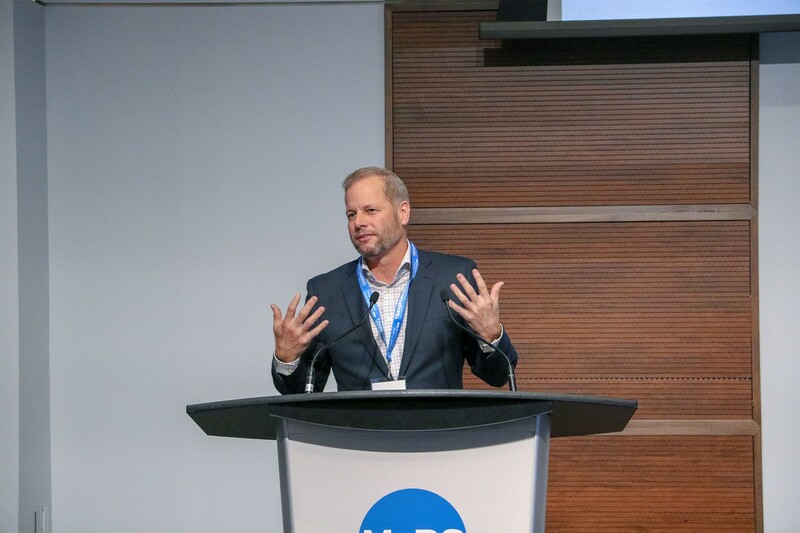 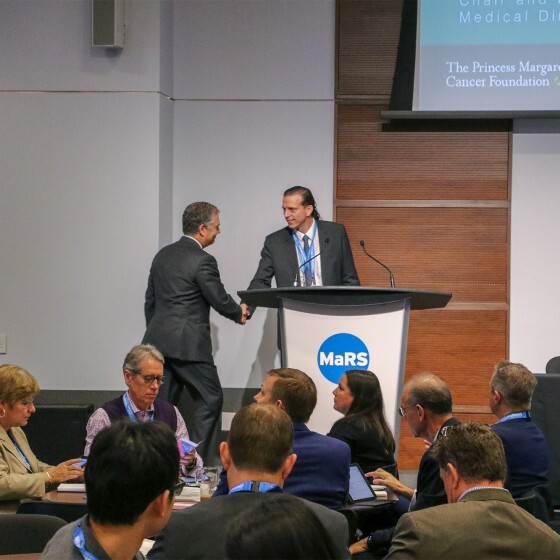 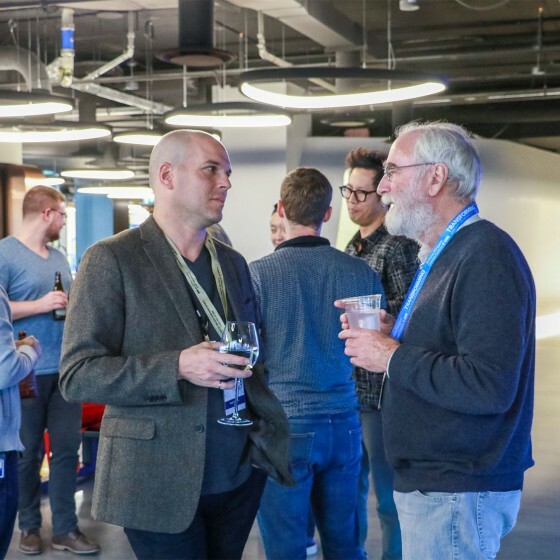 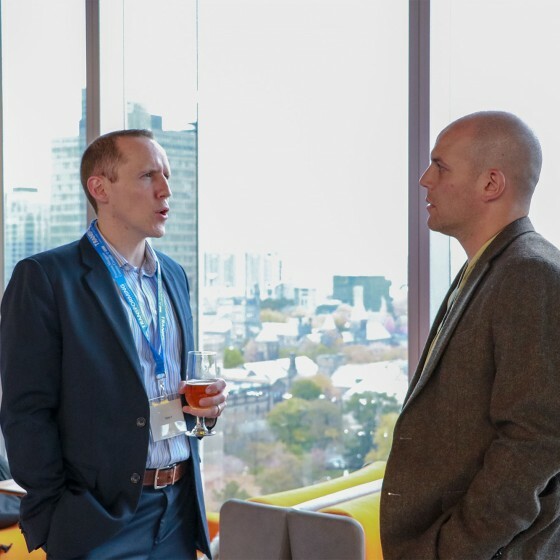 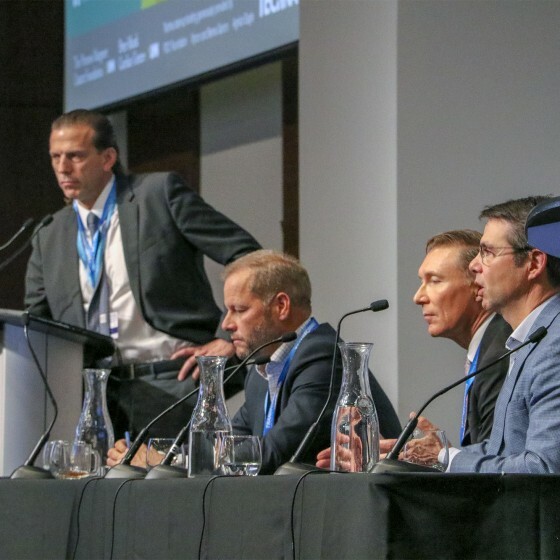 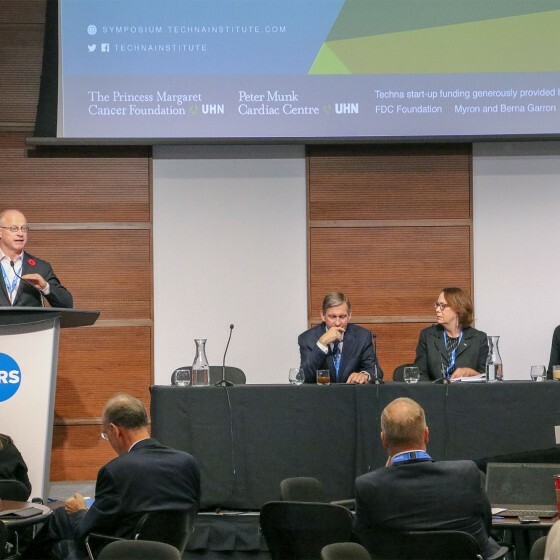 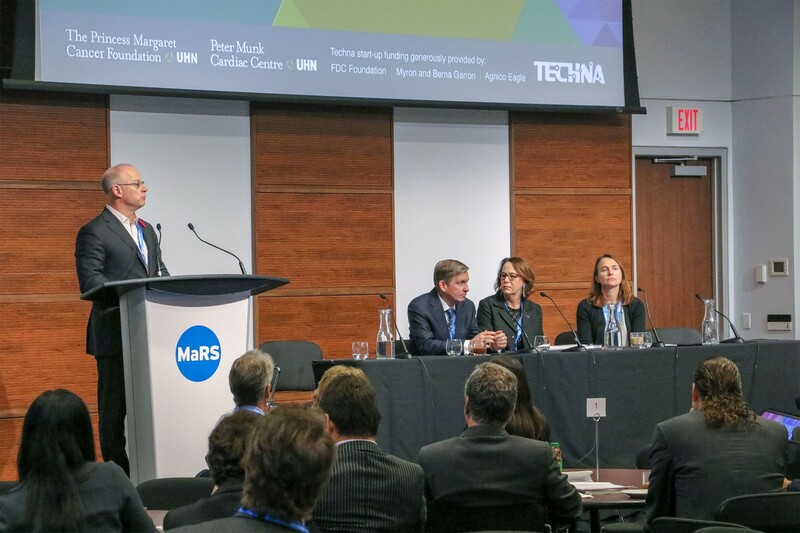 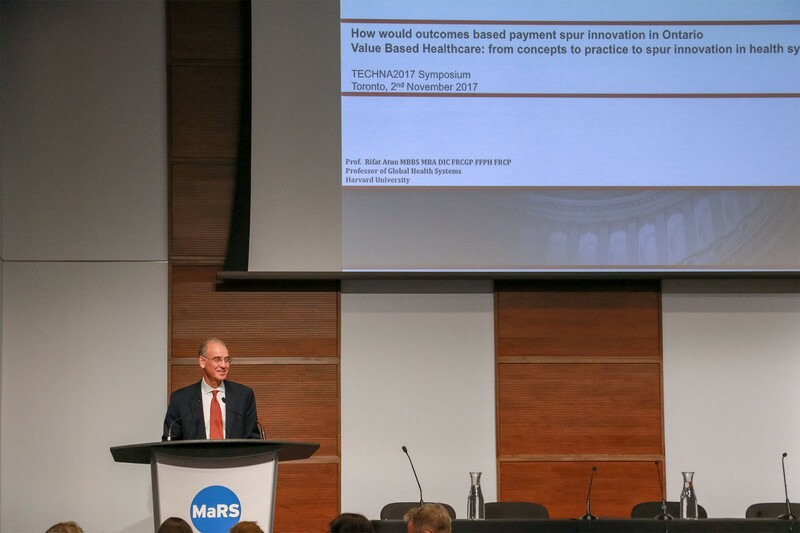 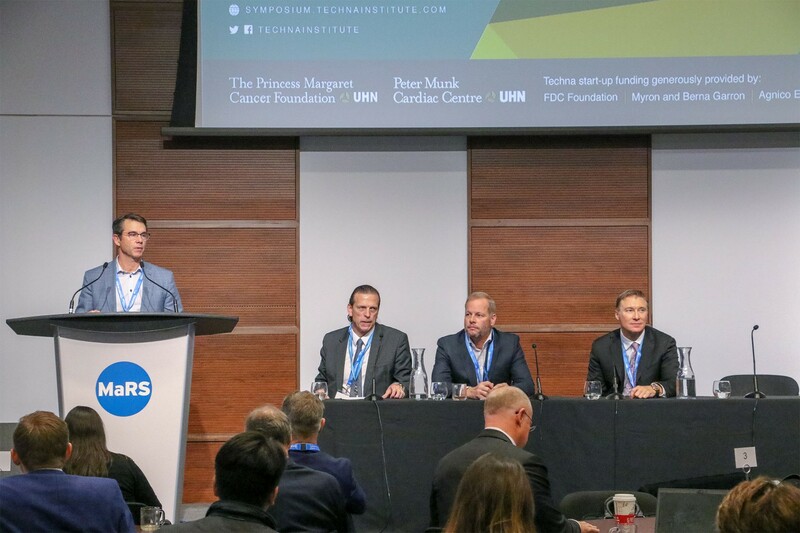 This year, the Peter Munk Cardiac Centre co-hosted The Techna 2017 Symposium and we were pleased to have Barry Rubin who spoke of their approach and process to innovation in the PMCC. 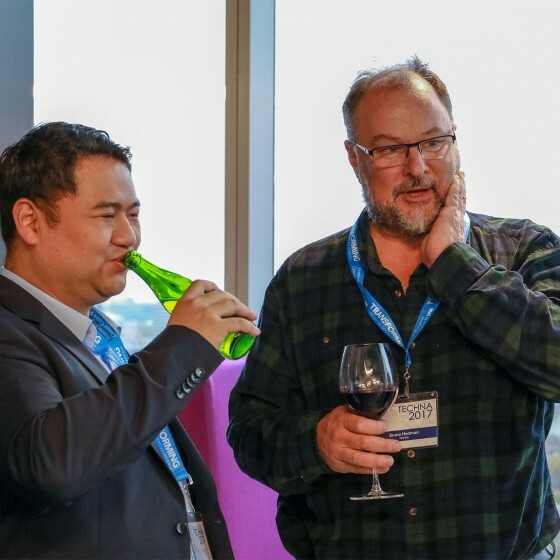 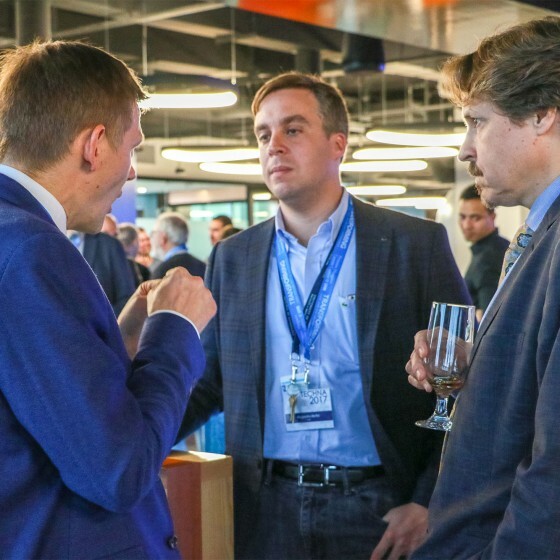 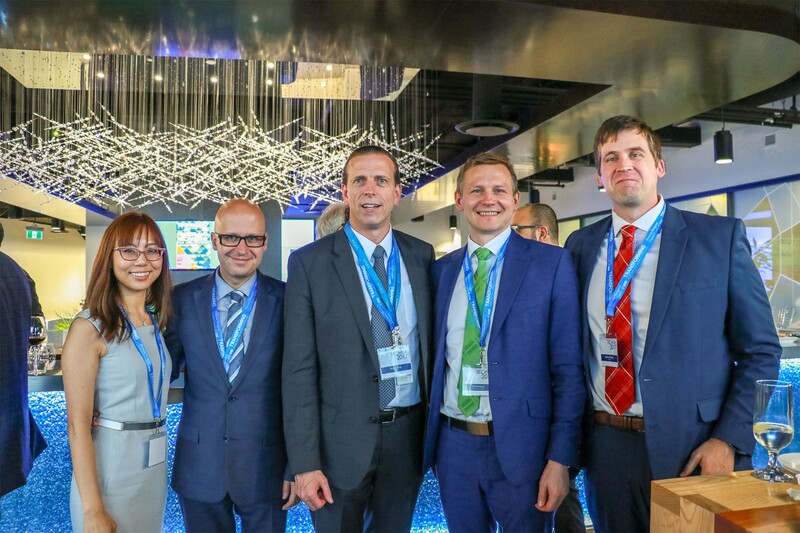 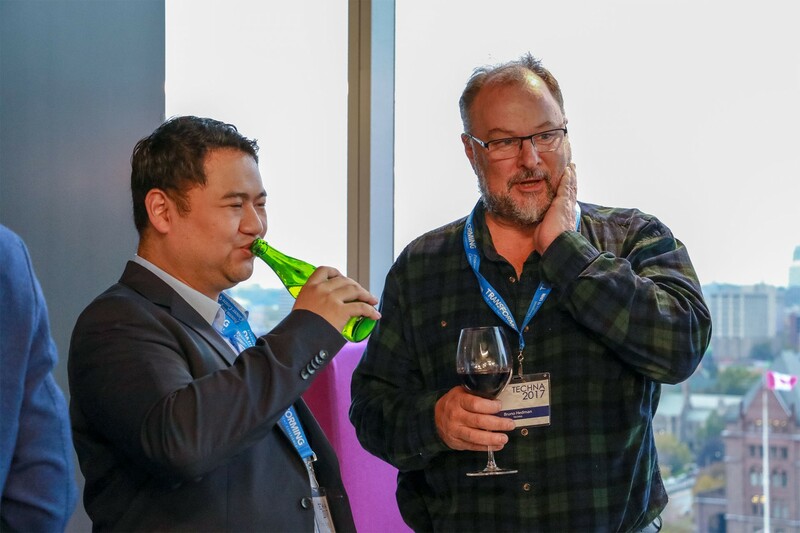 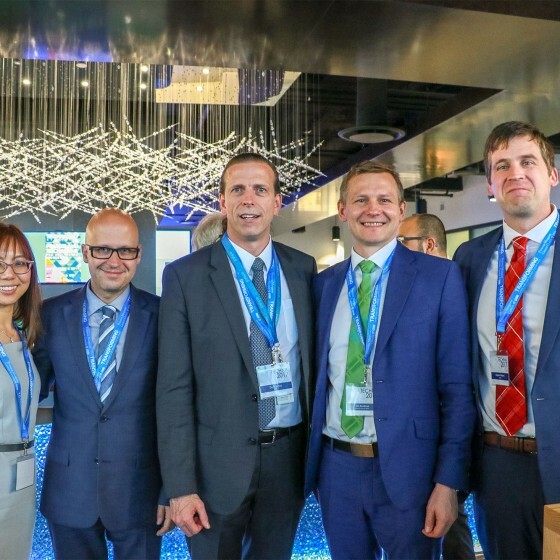 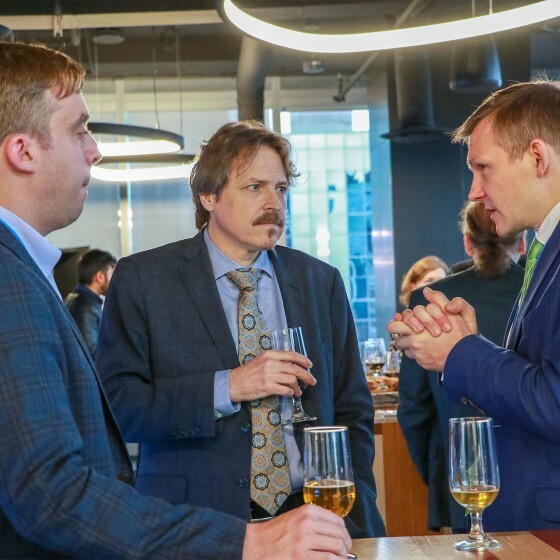 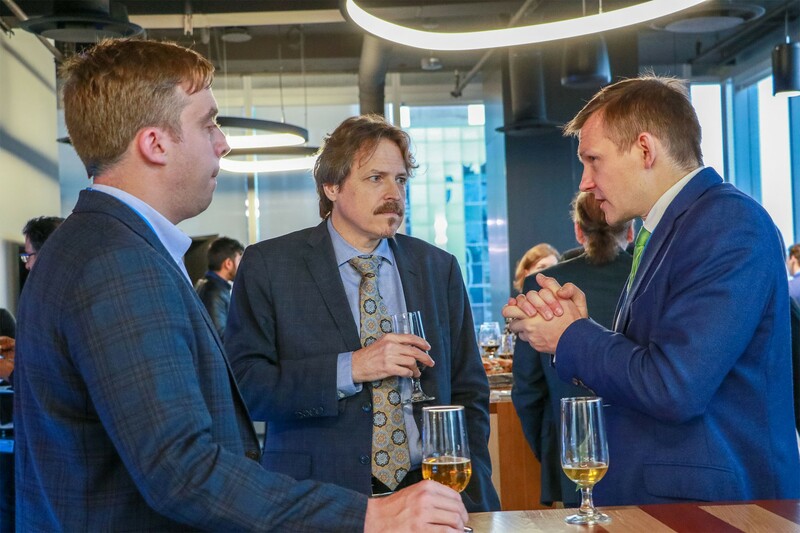 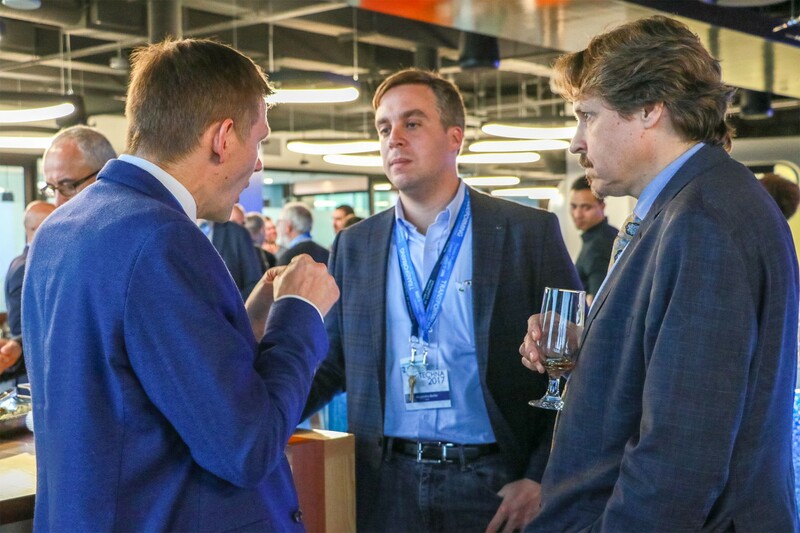 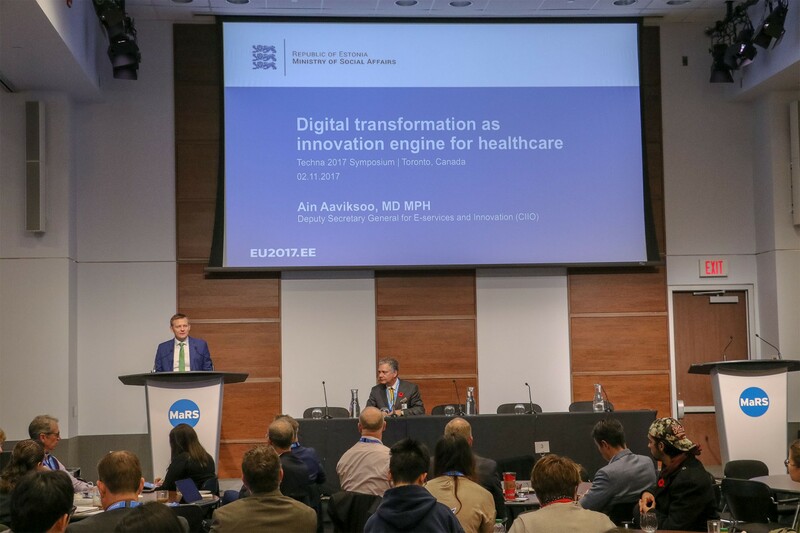 One of our keynote speakers, Ain Aaviksoo, visited us from Estonia and gave us a unique perspective of the digital infrastructure in Europe and the digital presence in Estonia with their vast e-services. 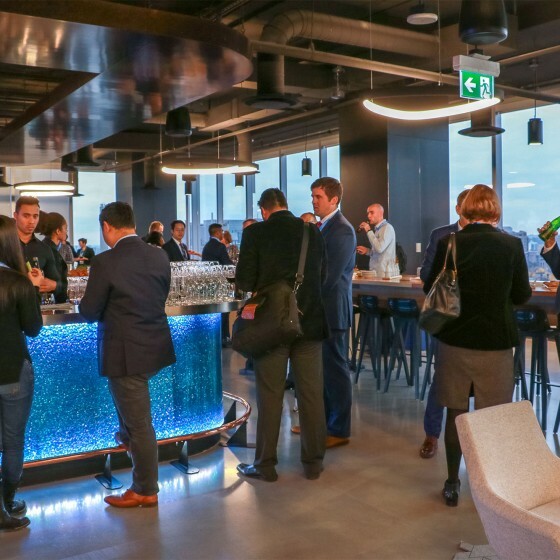 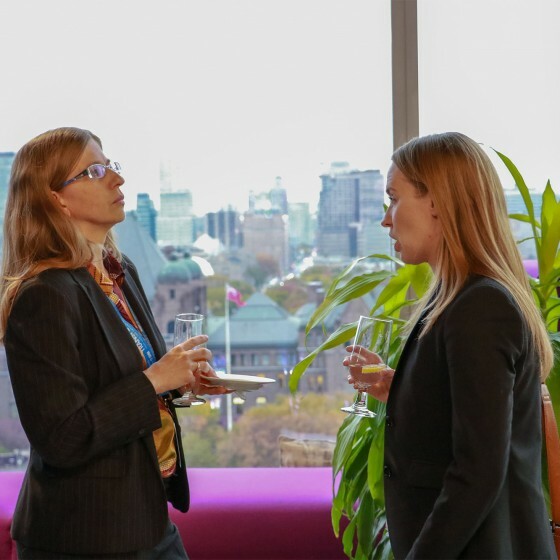 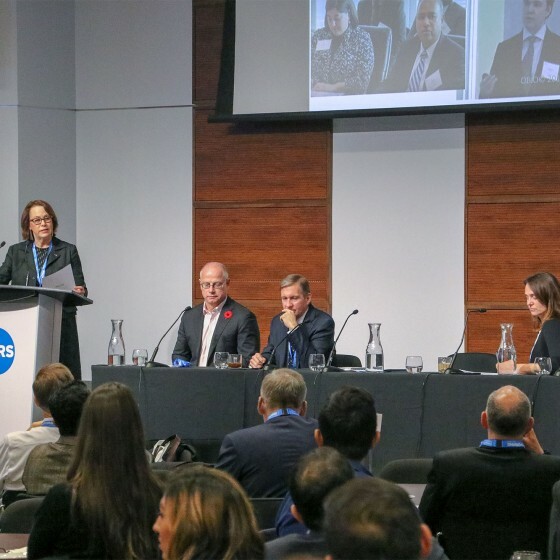 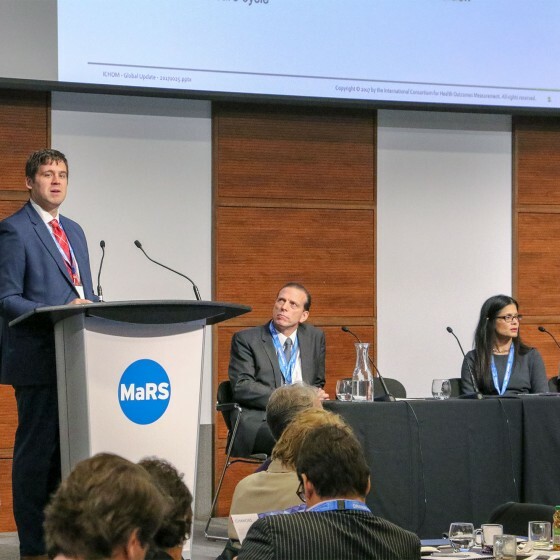 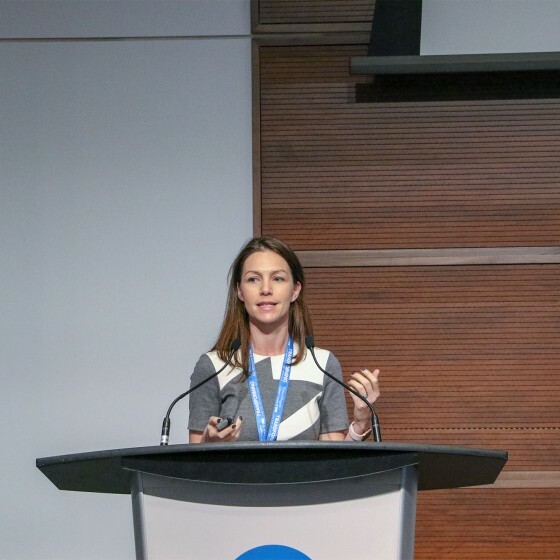 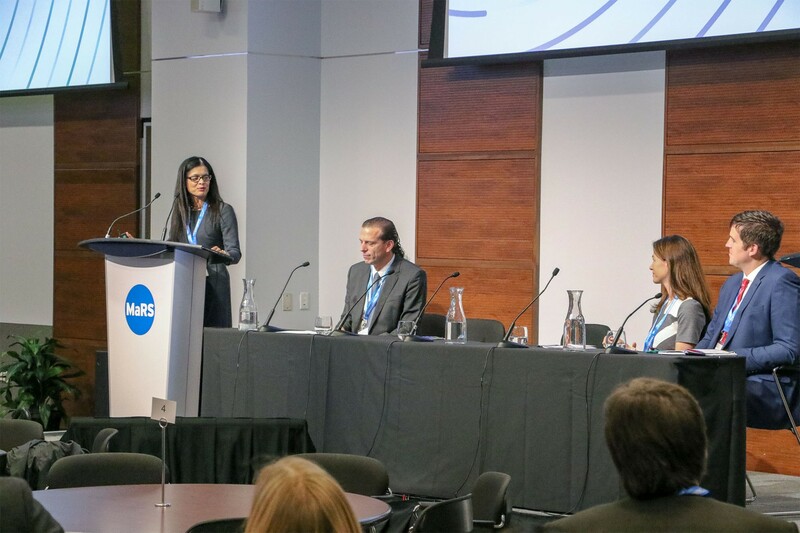 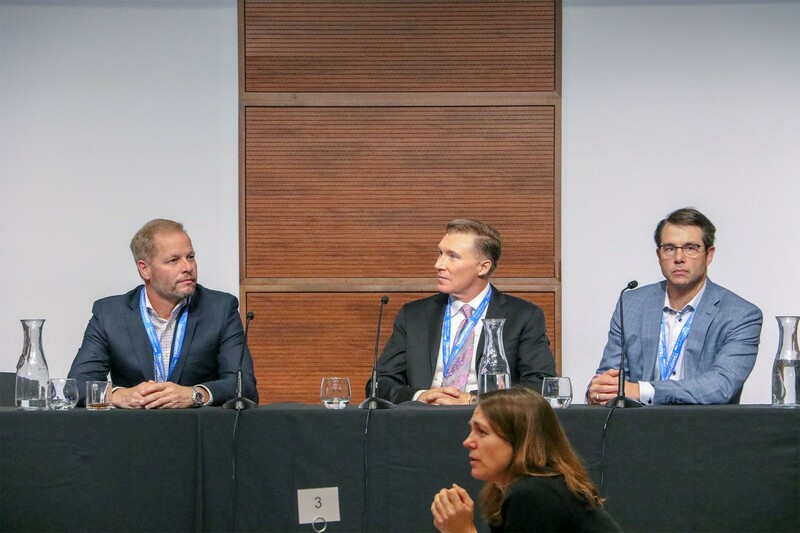 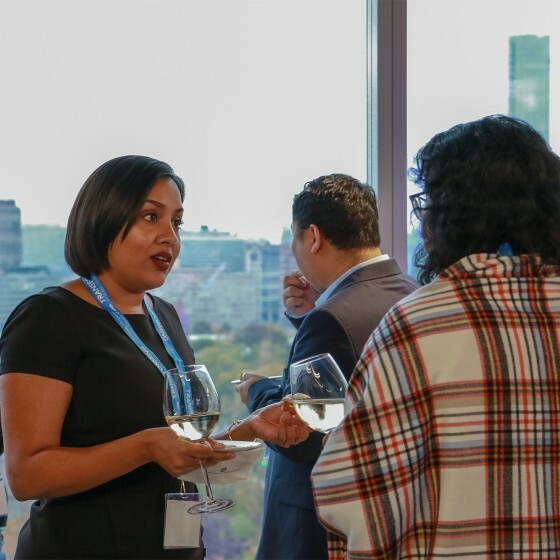 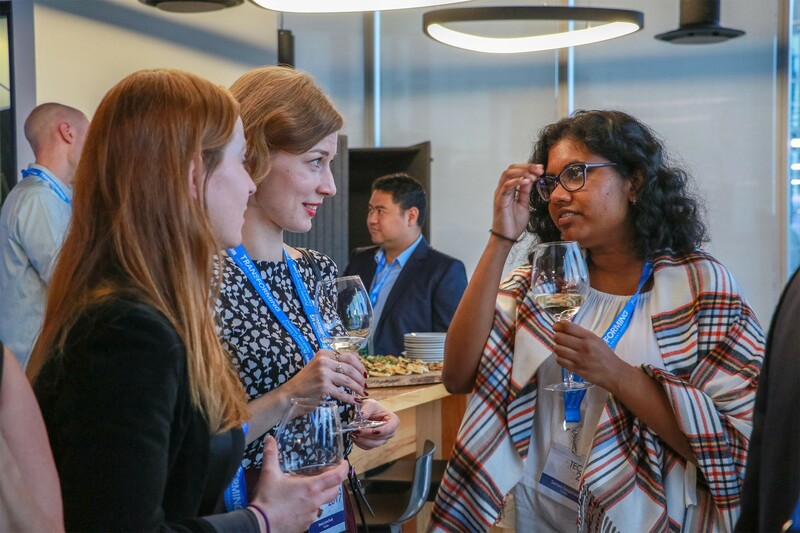 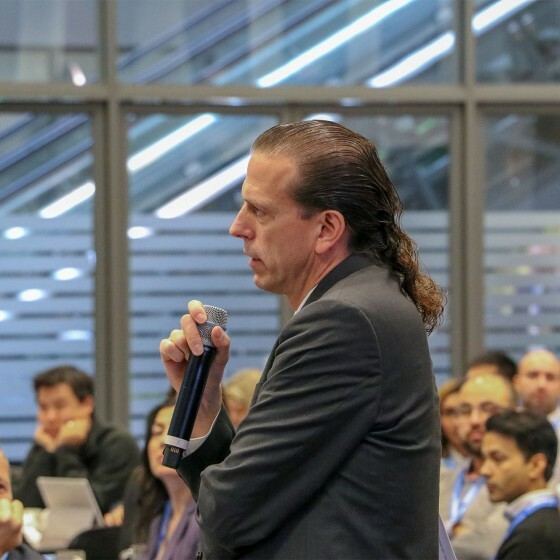 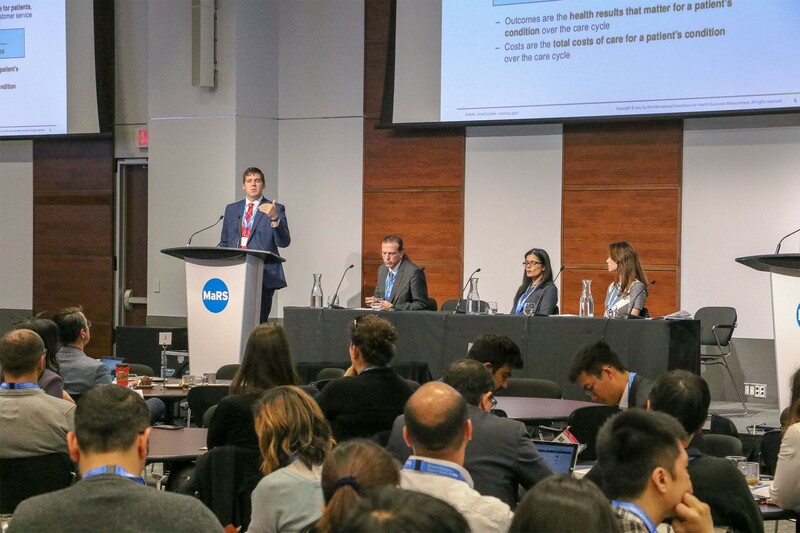 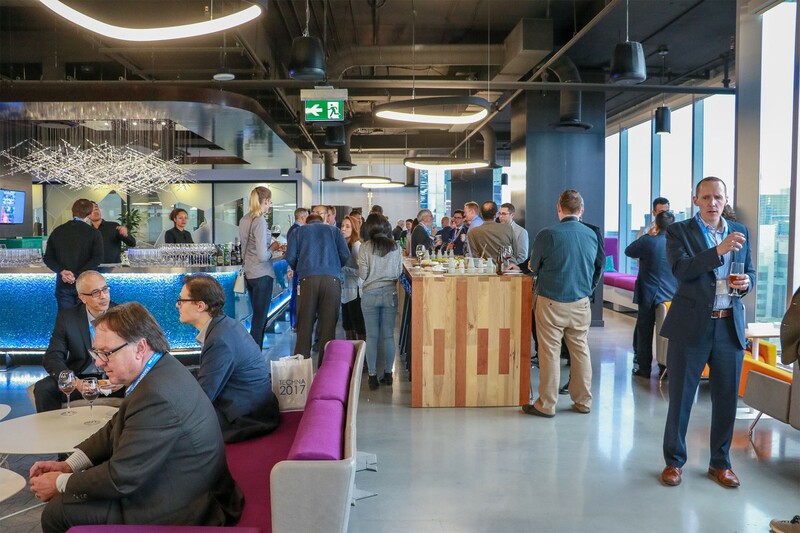 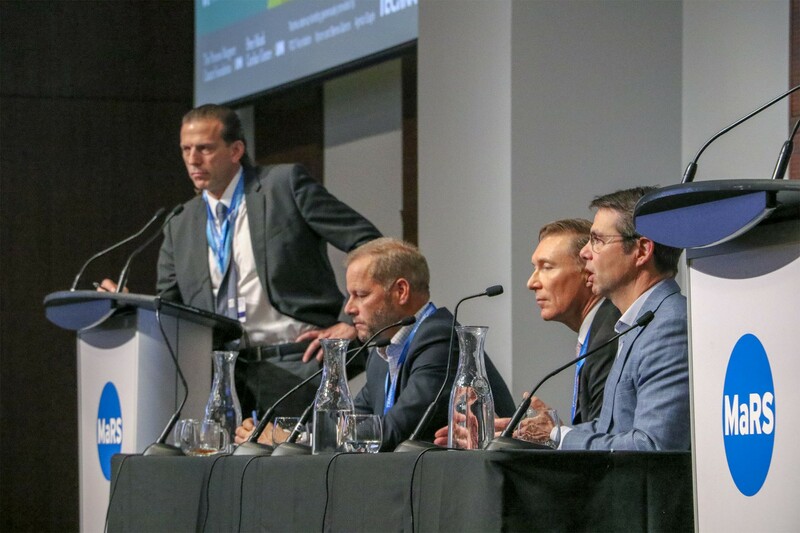 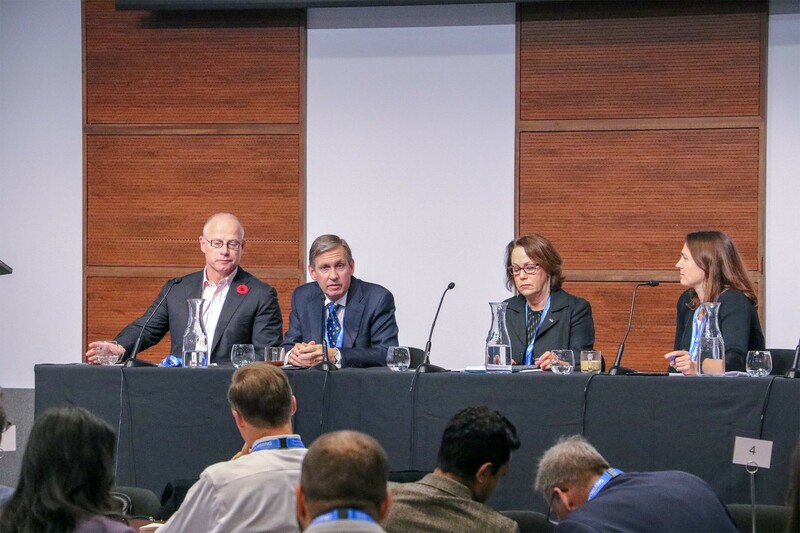 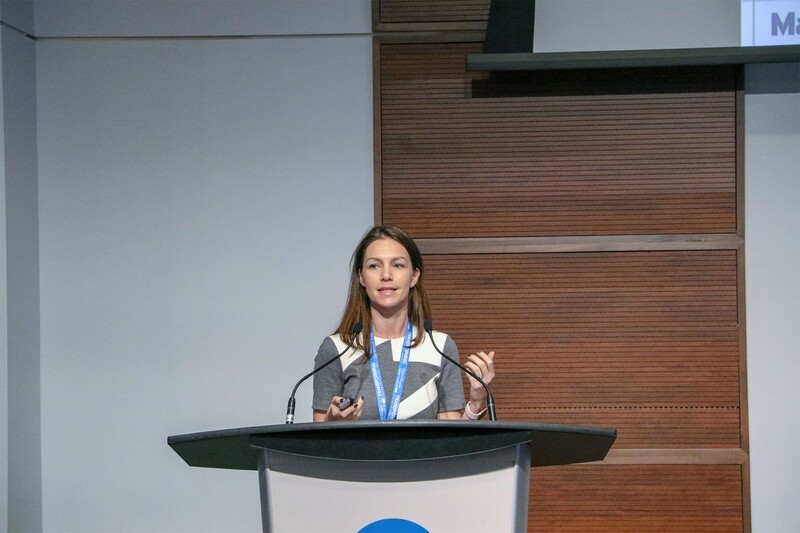 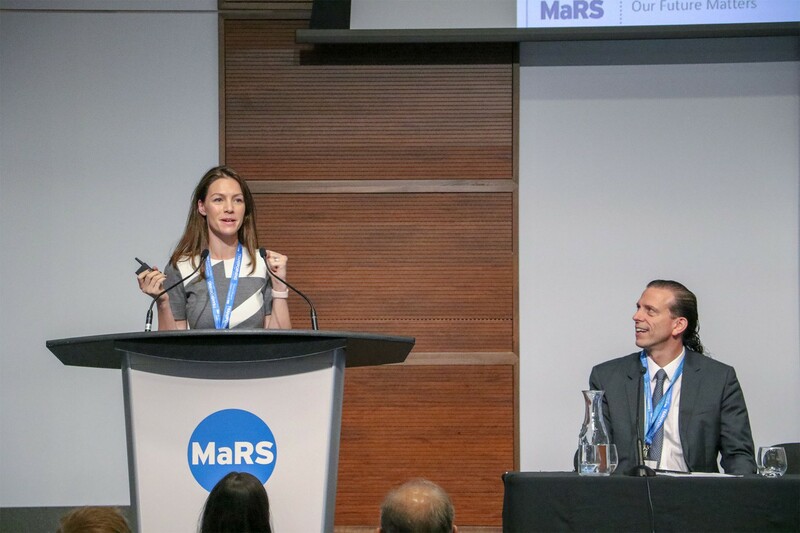 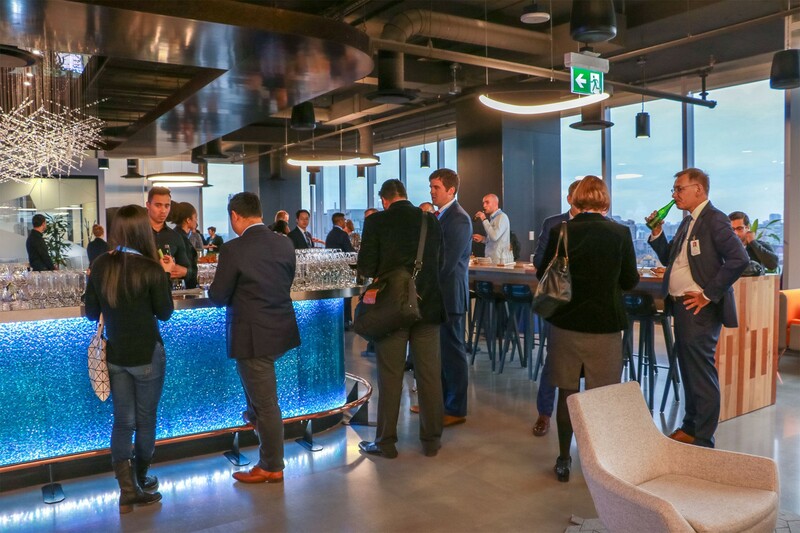 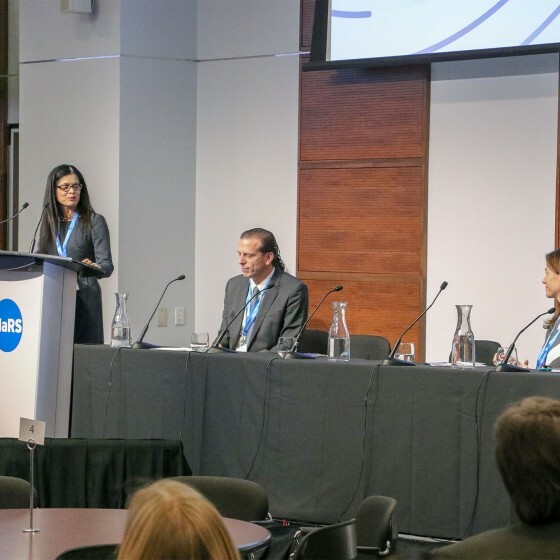 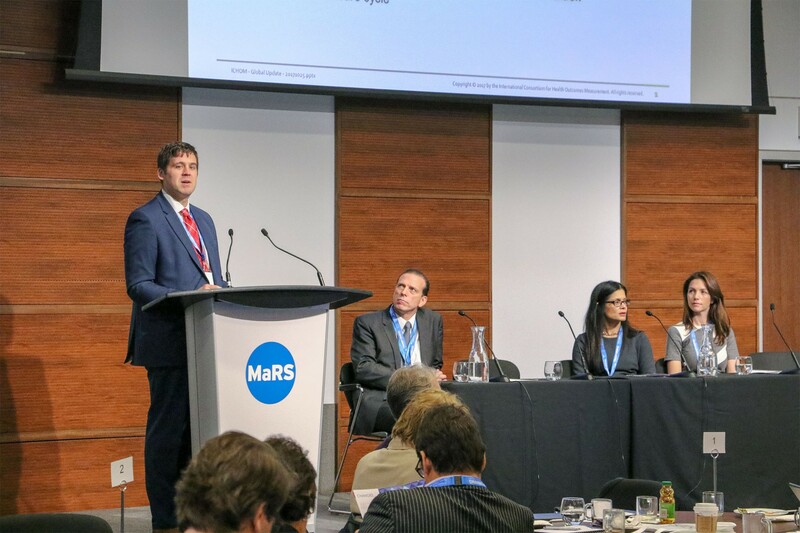 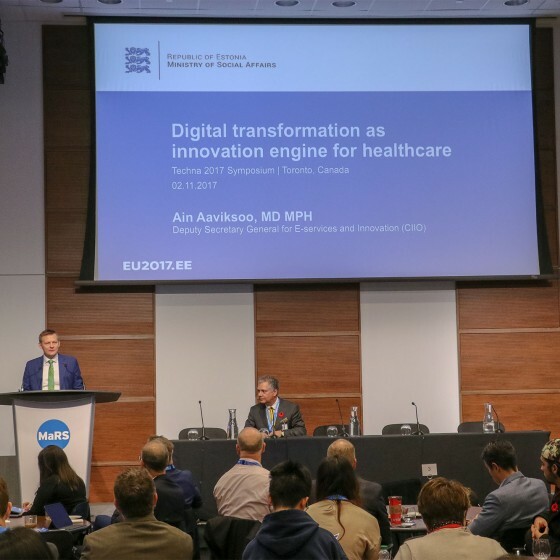 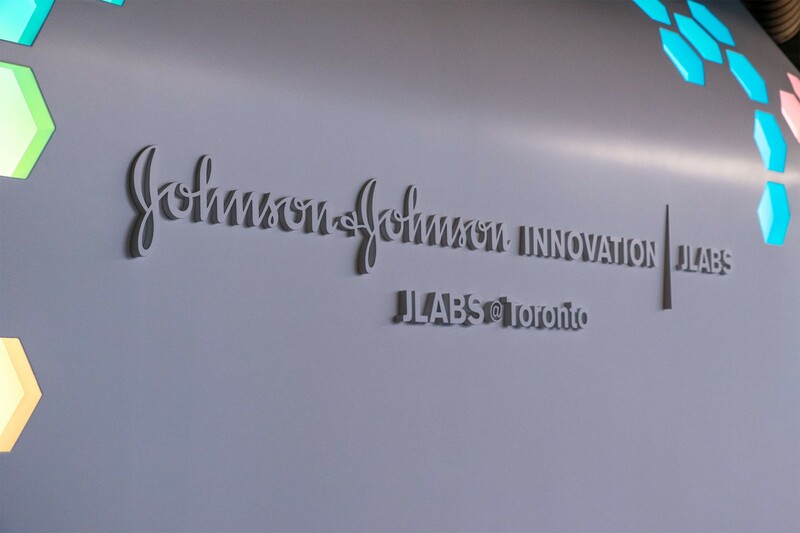 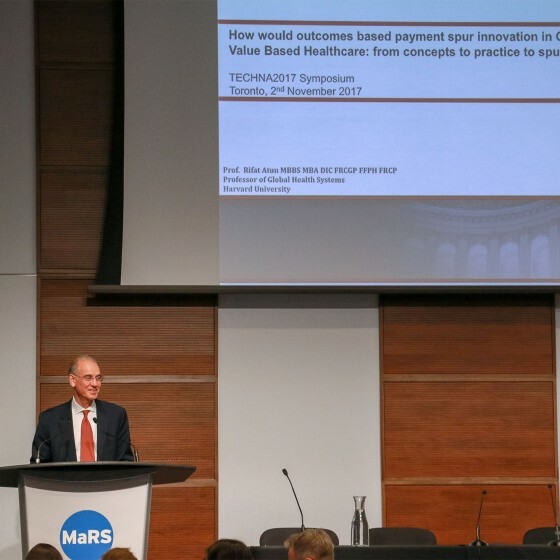 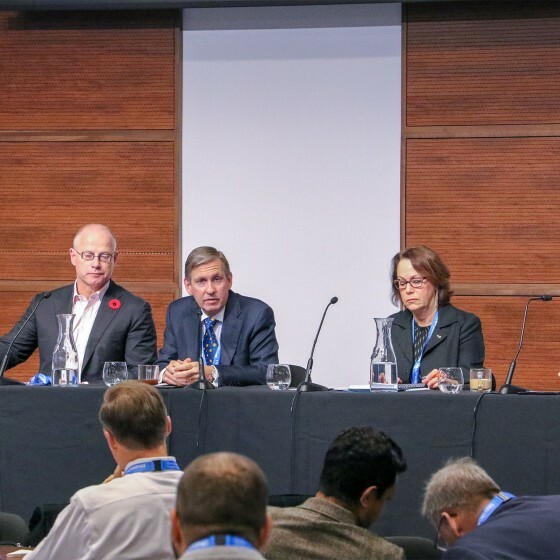 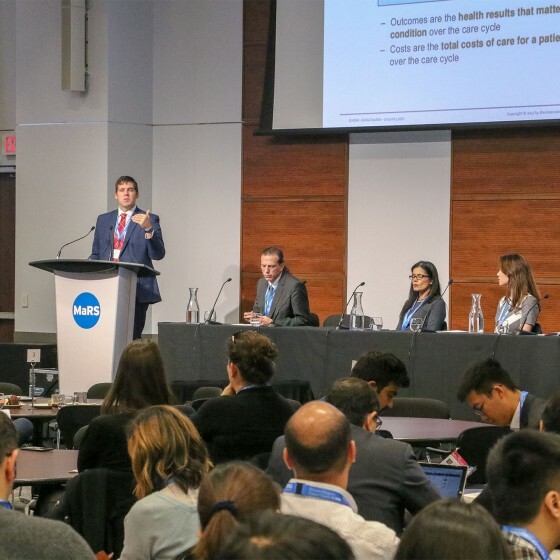 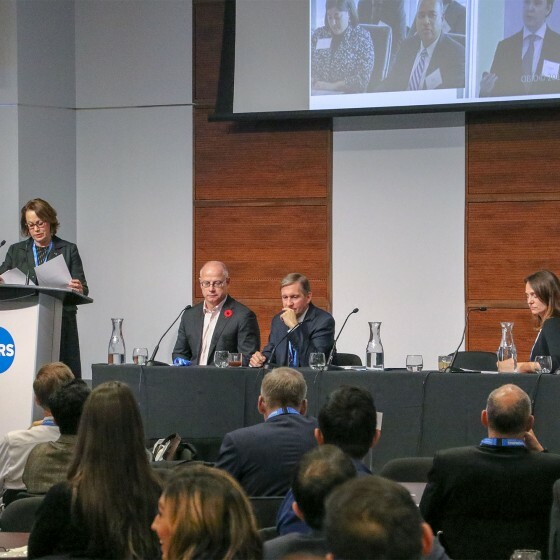 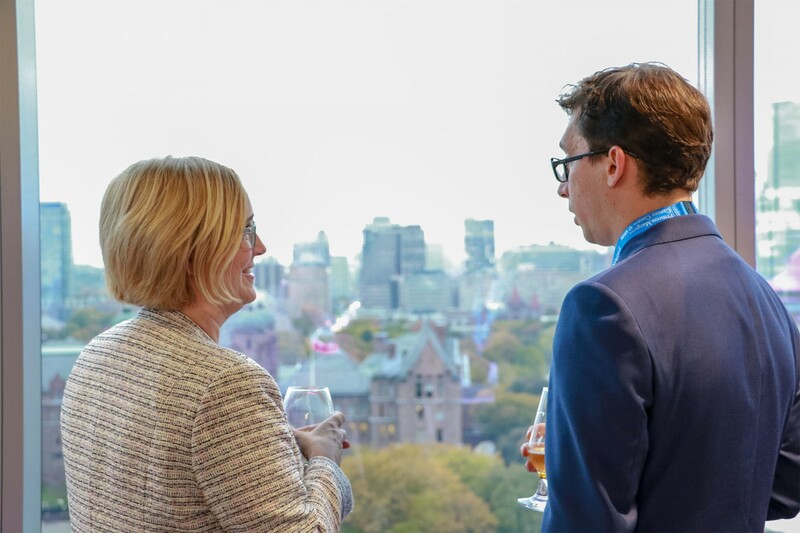 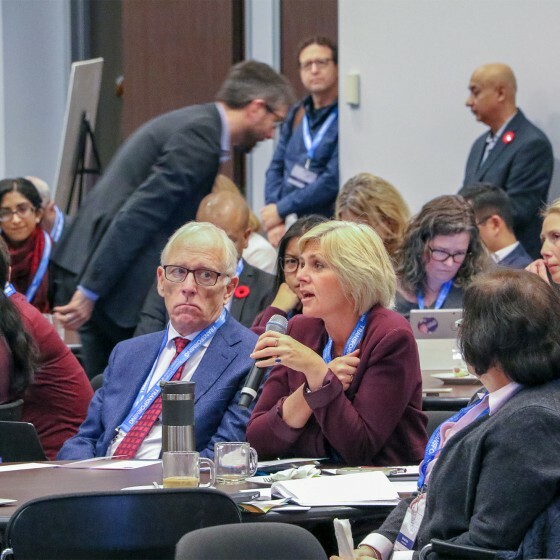 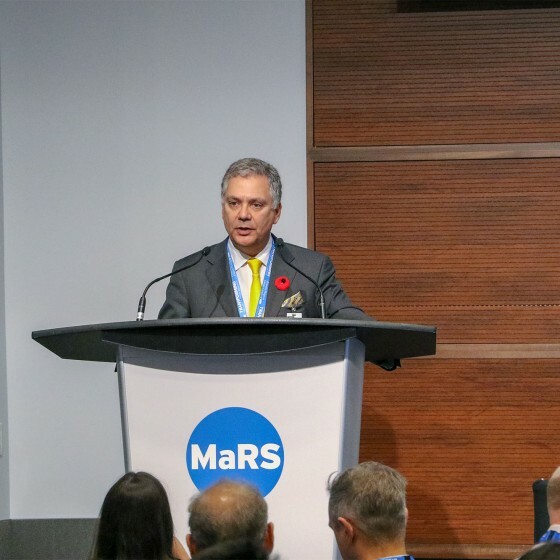 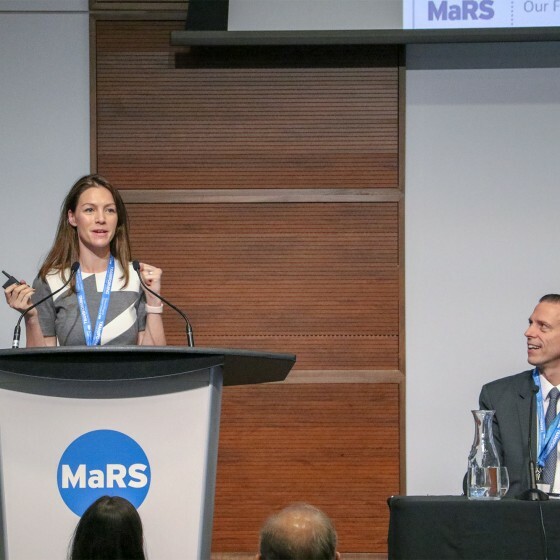 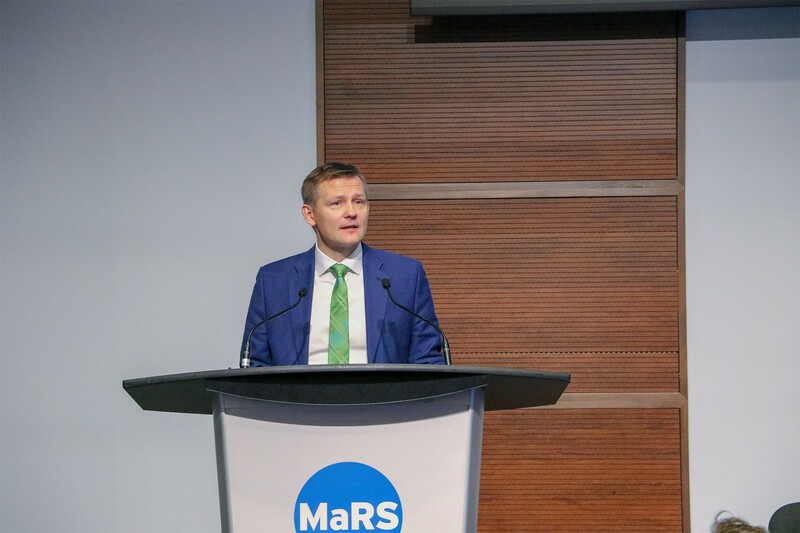 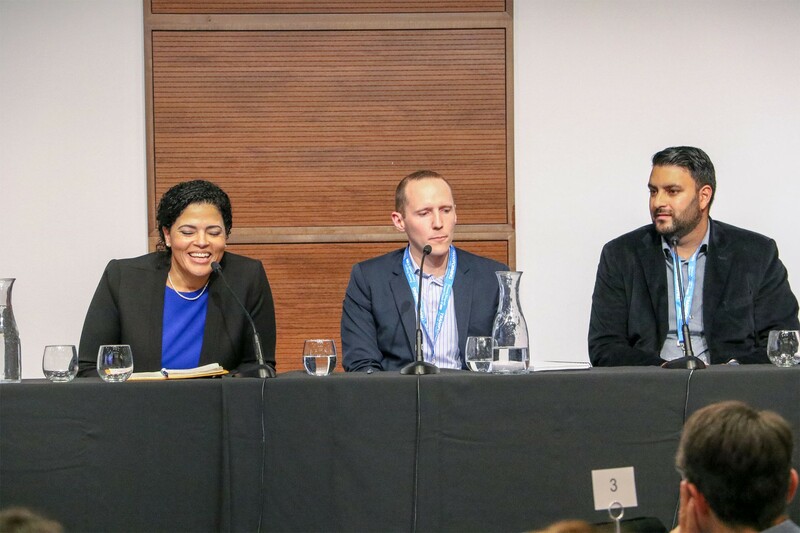 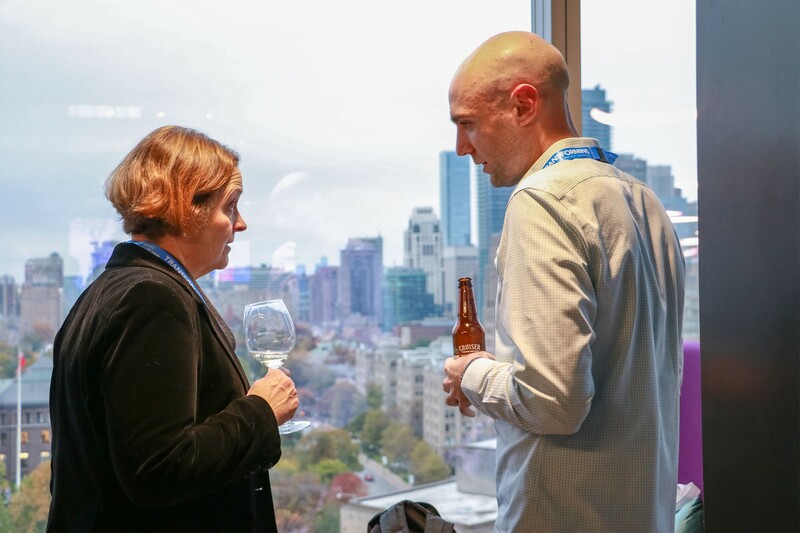 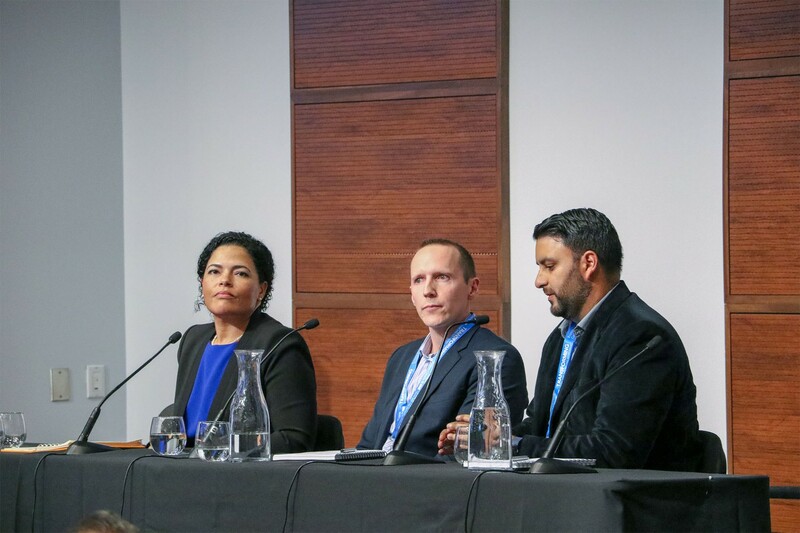 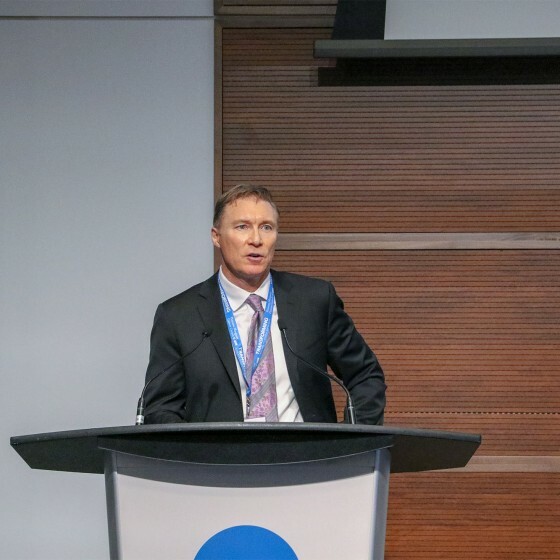 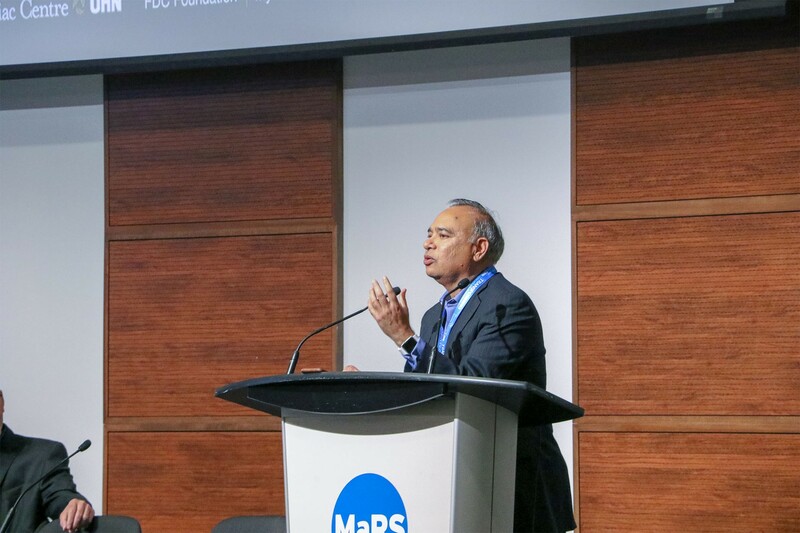 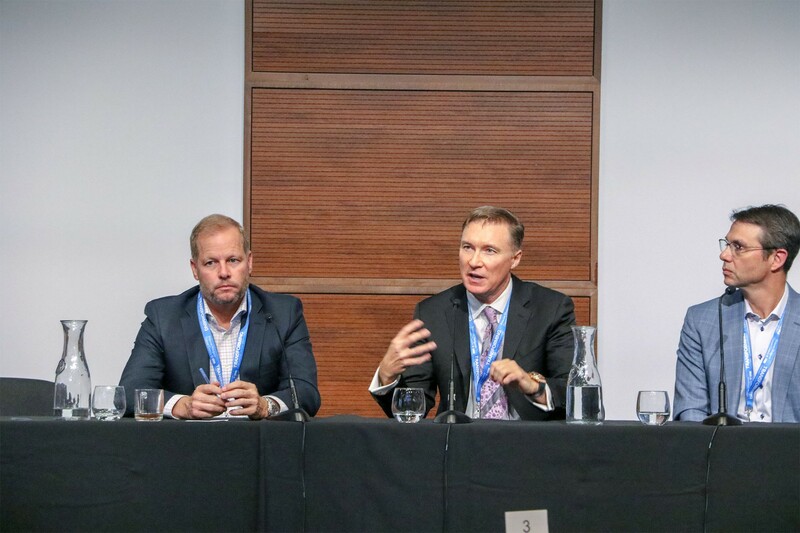 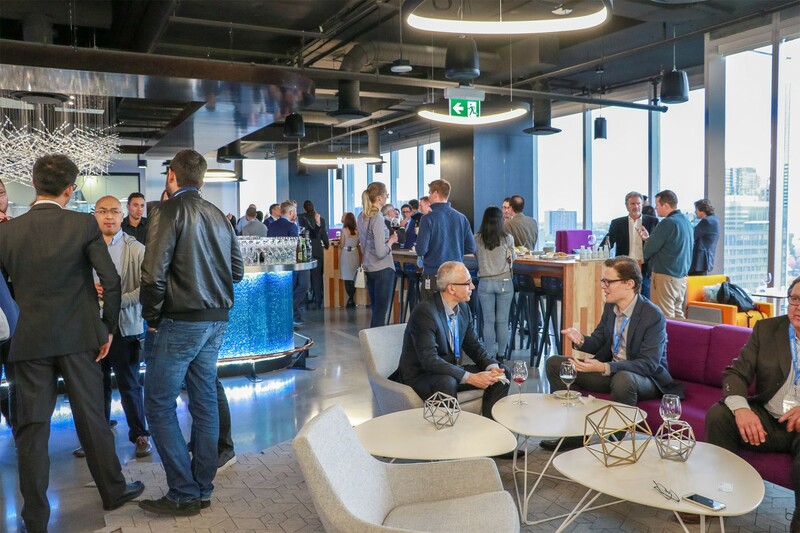 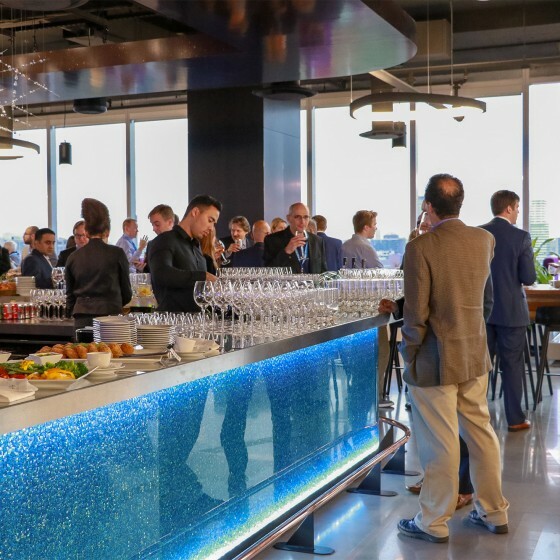 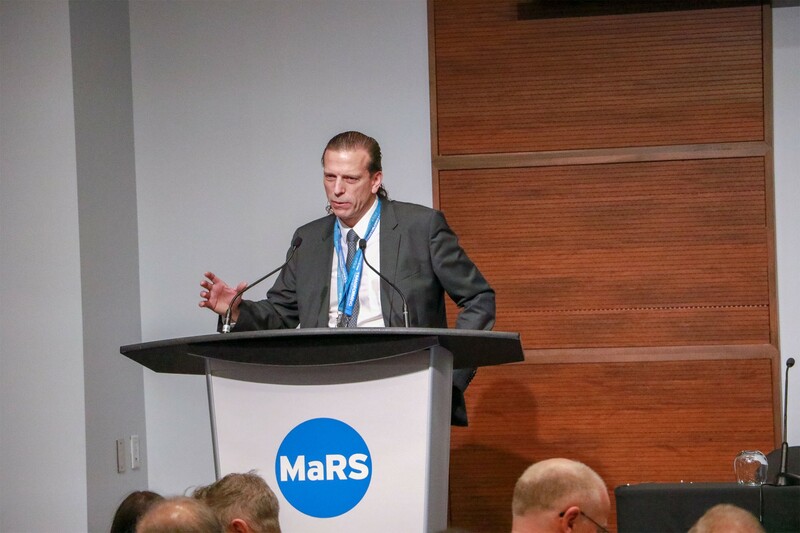 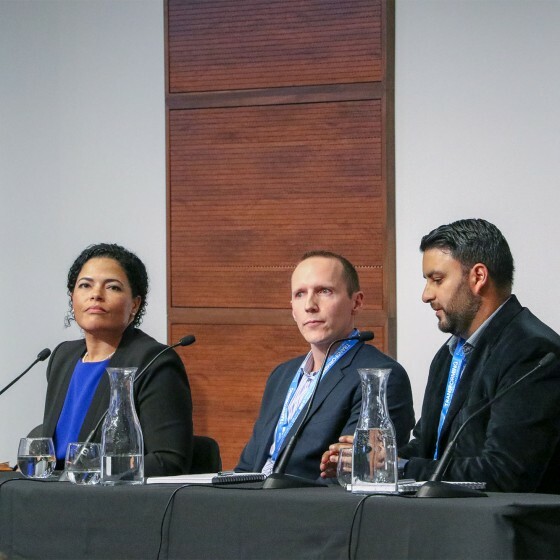 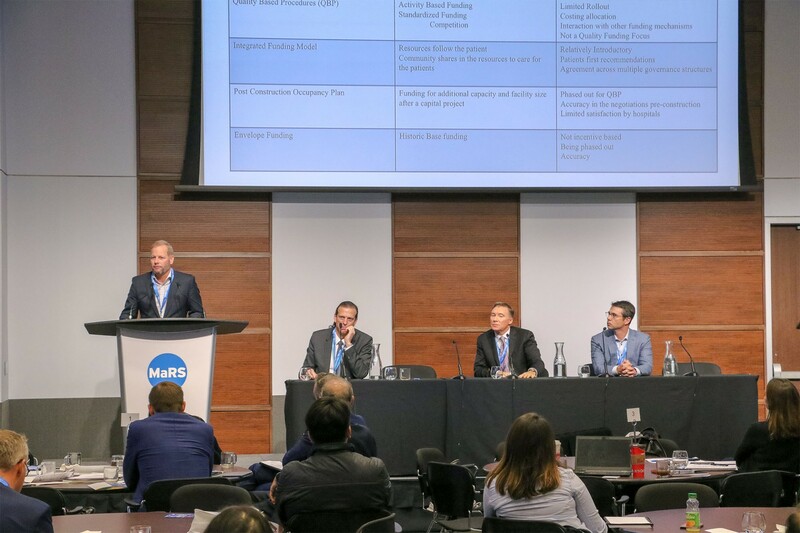 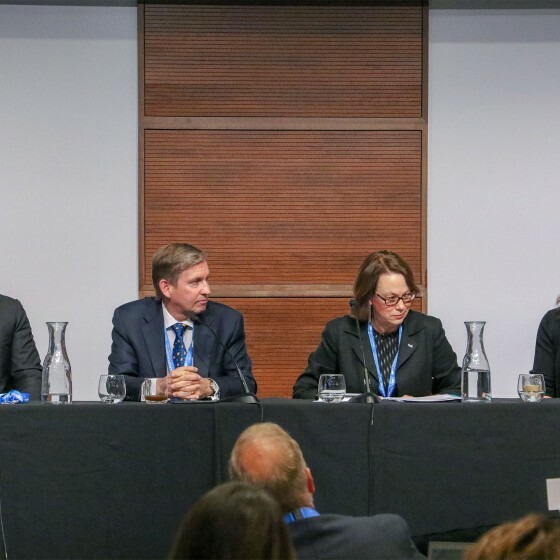 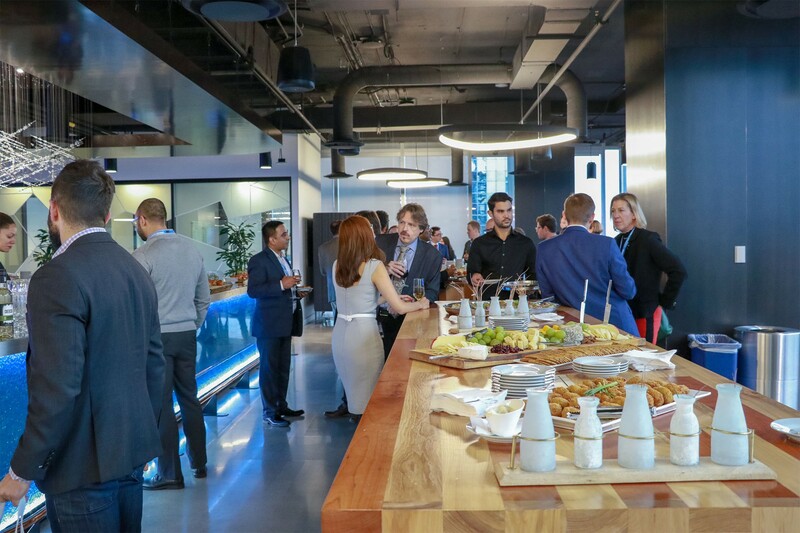 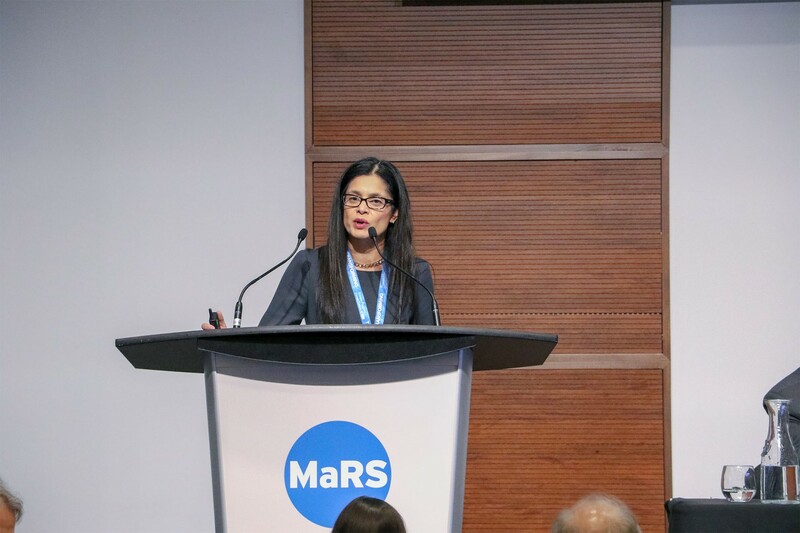 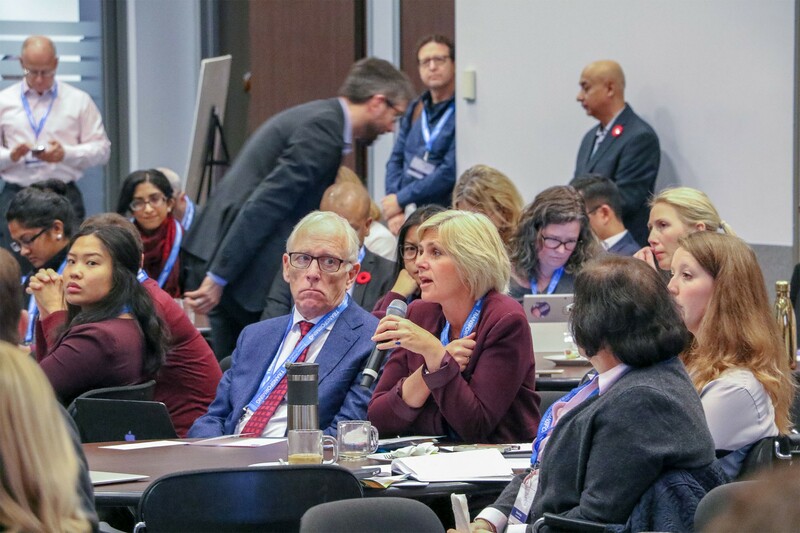 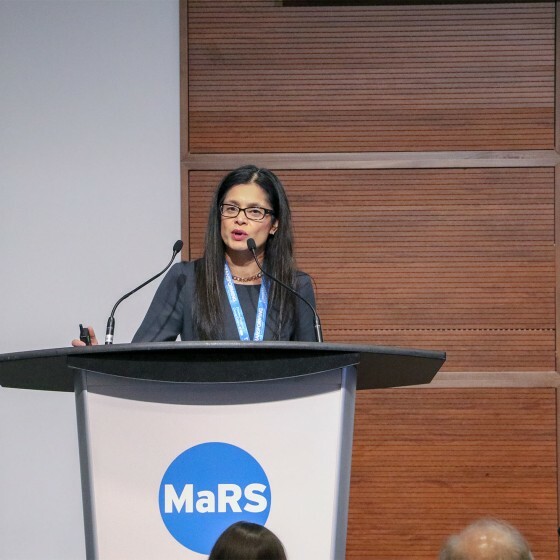 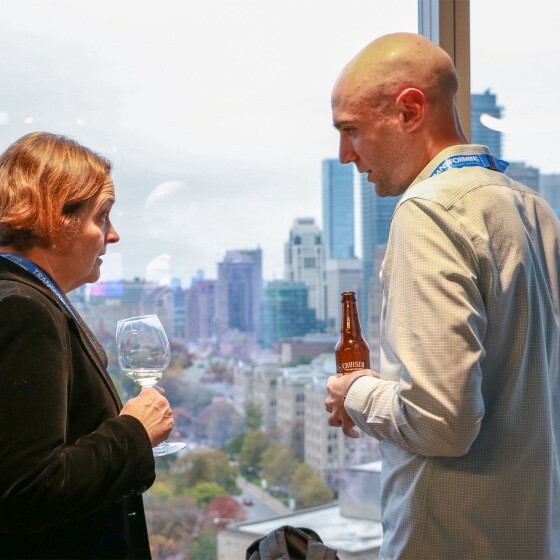 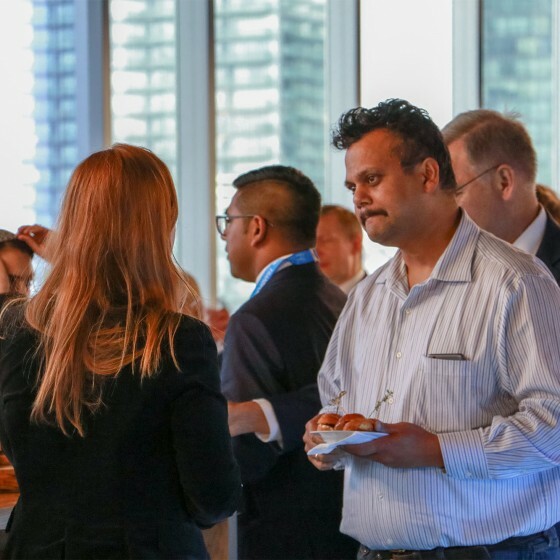 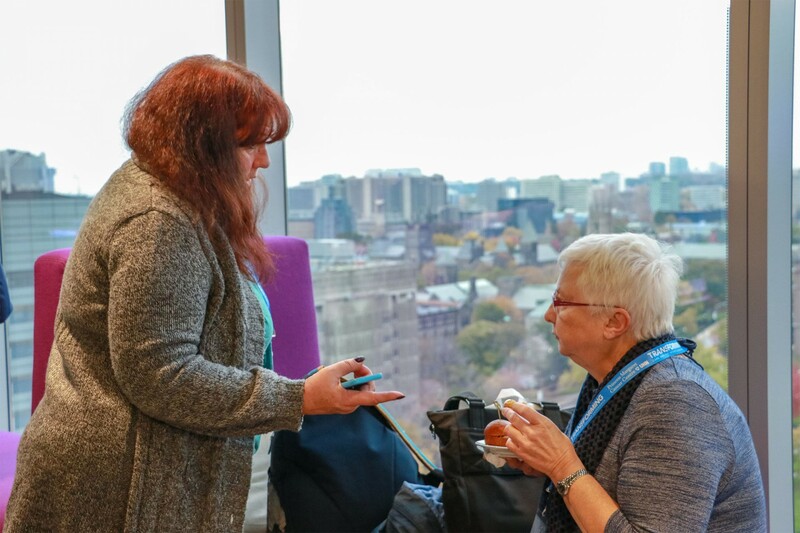 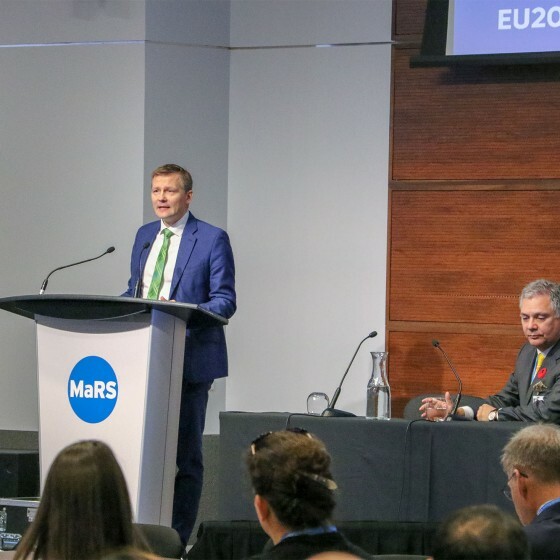 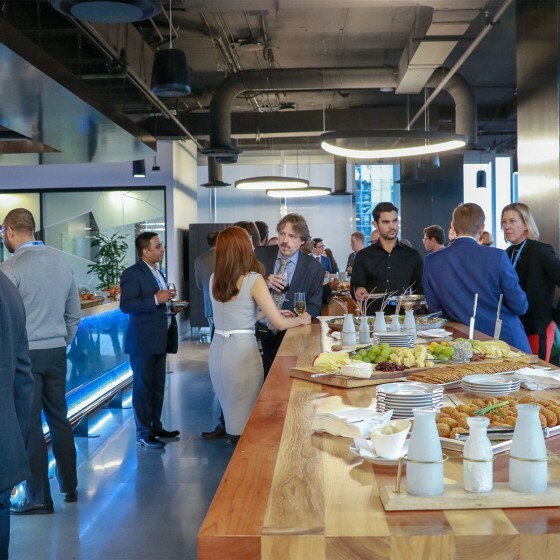 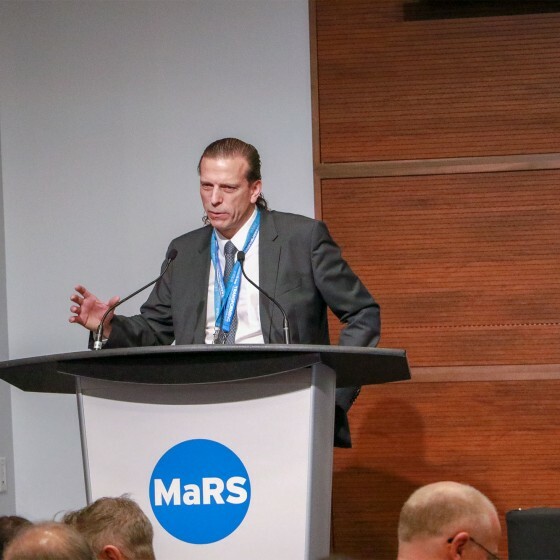 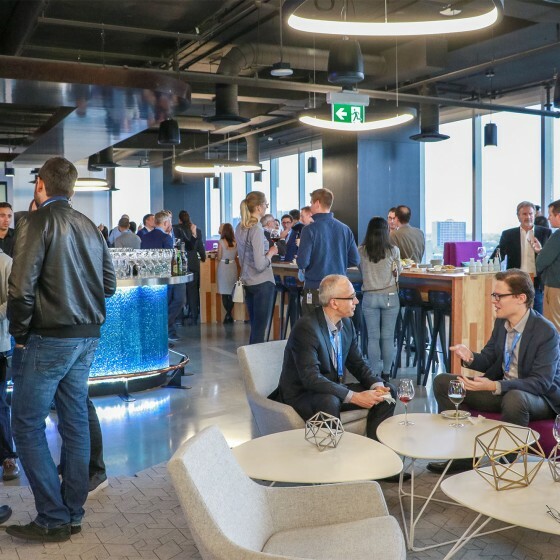 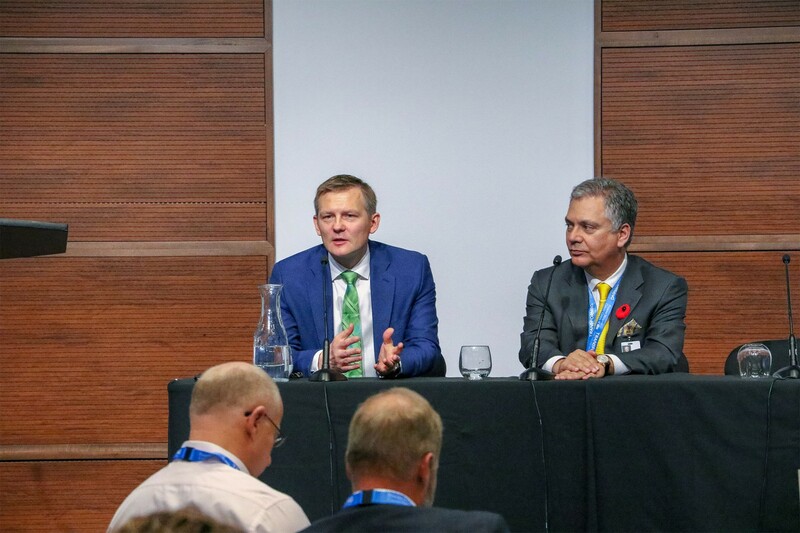 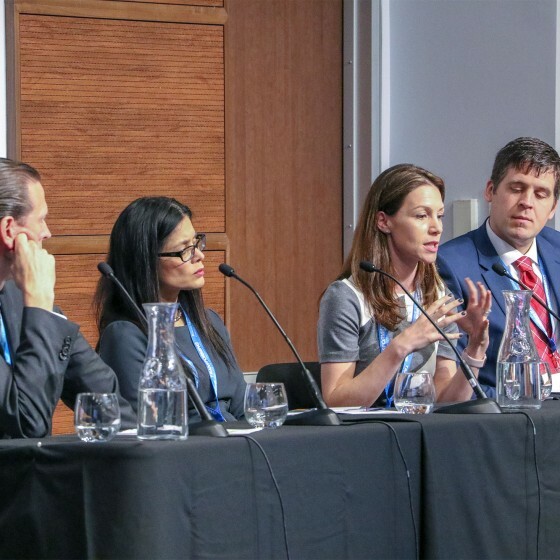 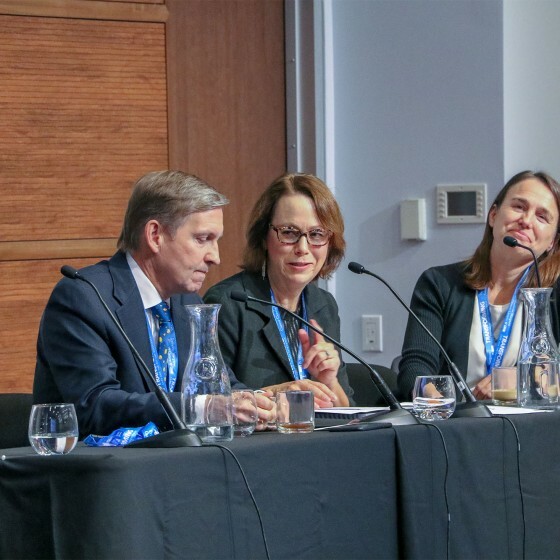 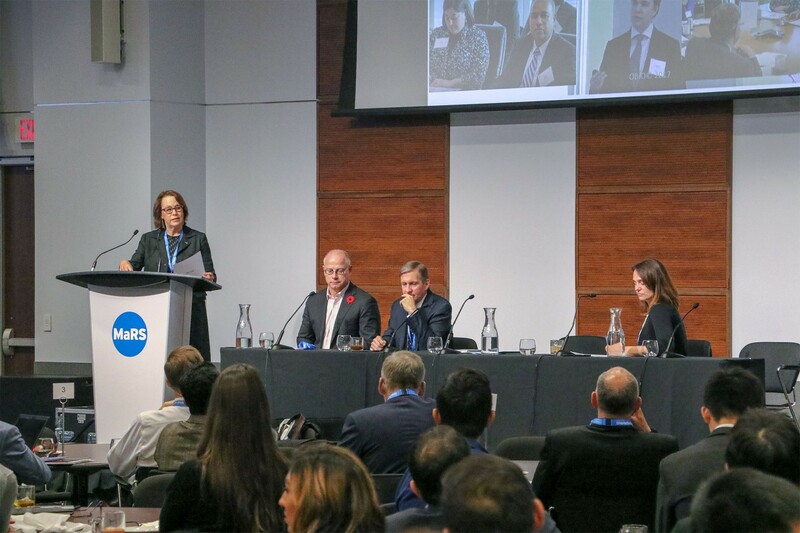 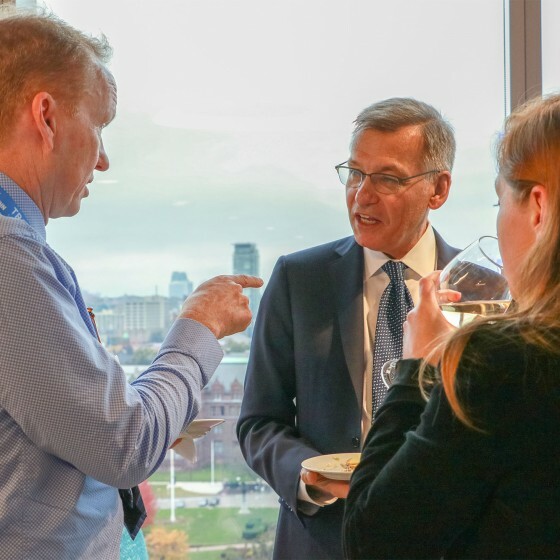 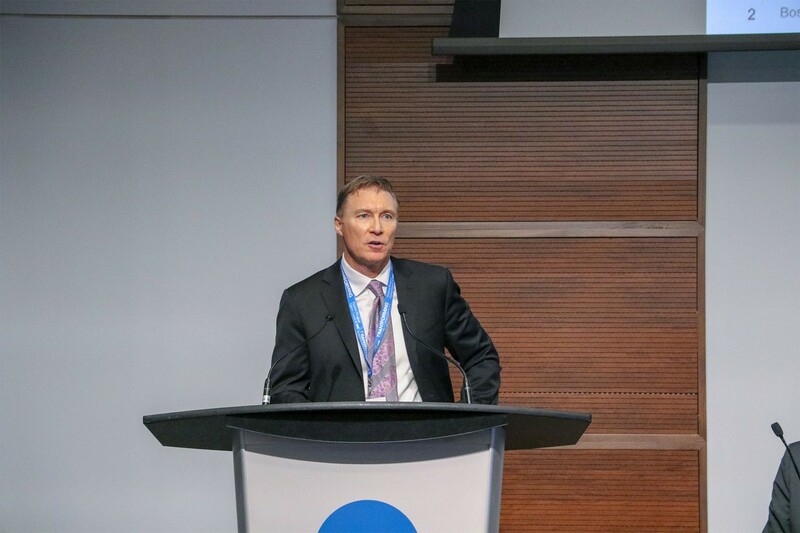 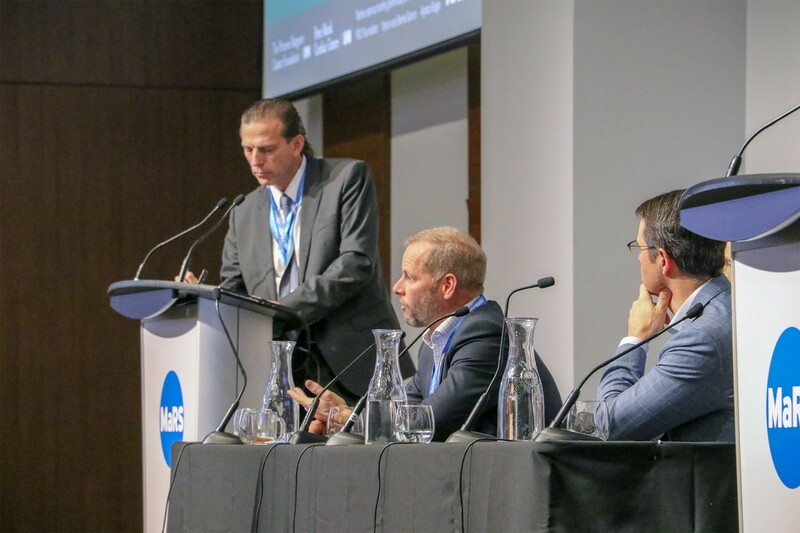 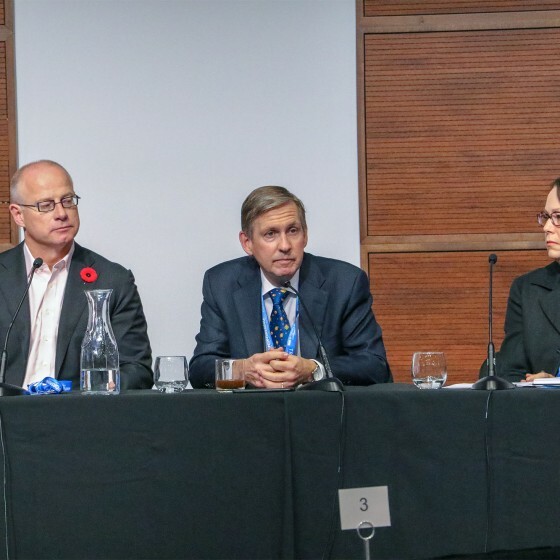 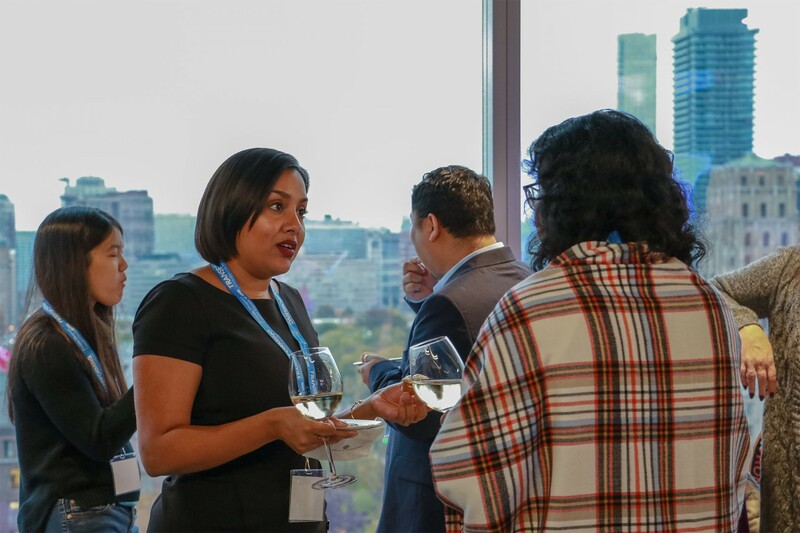 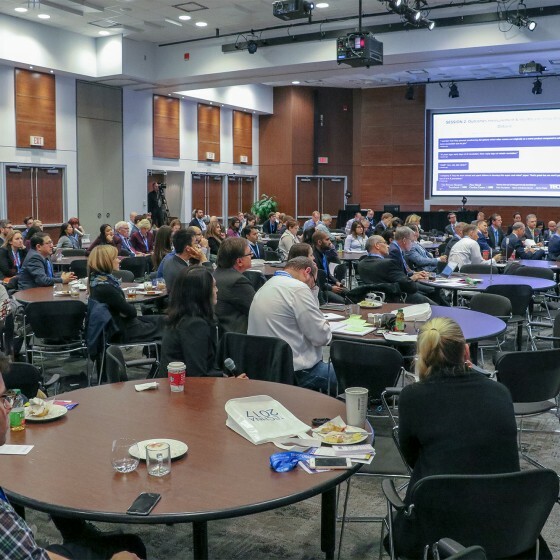 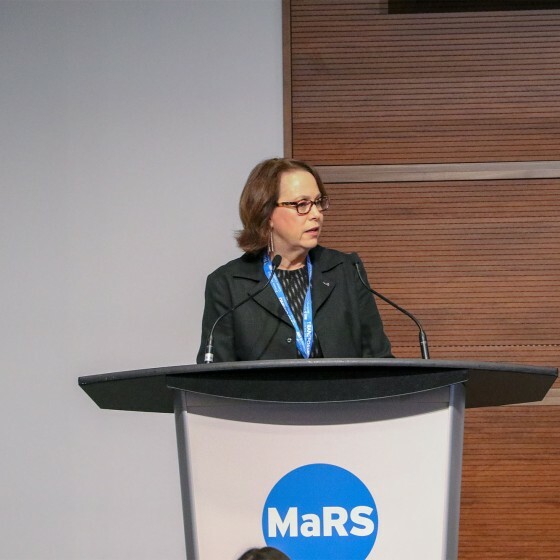 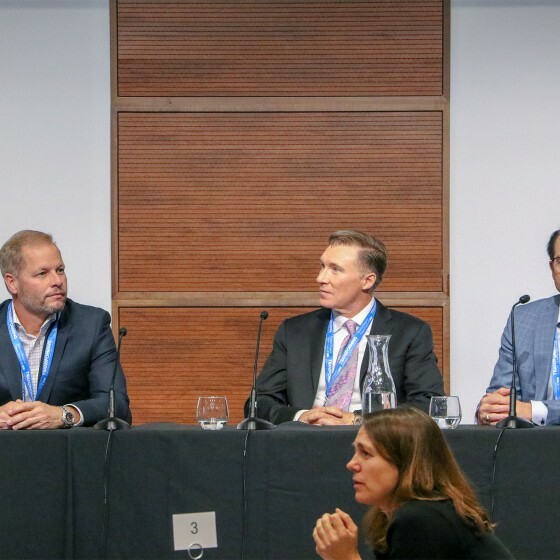 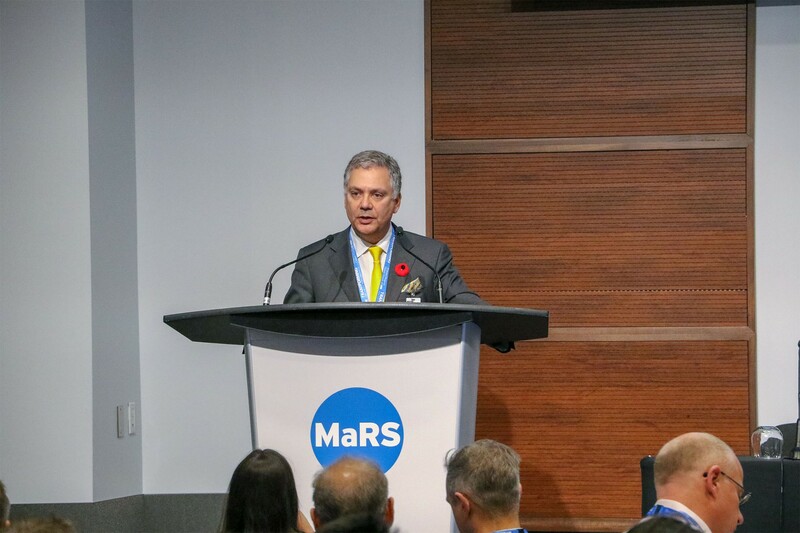 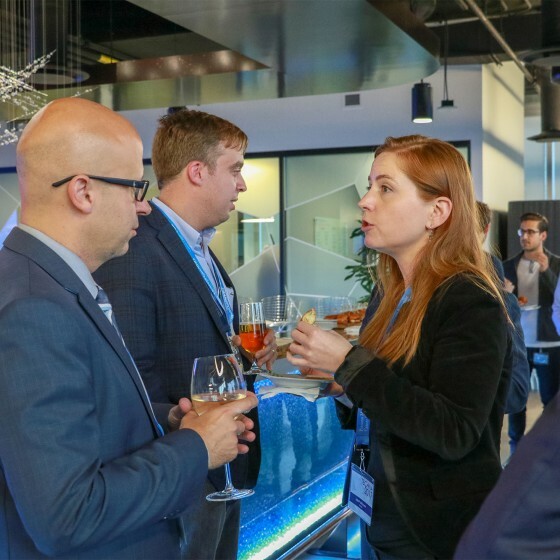 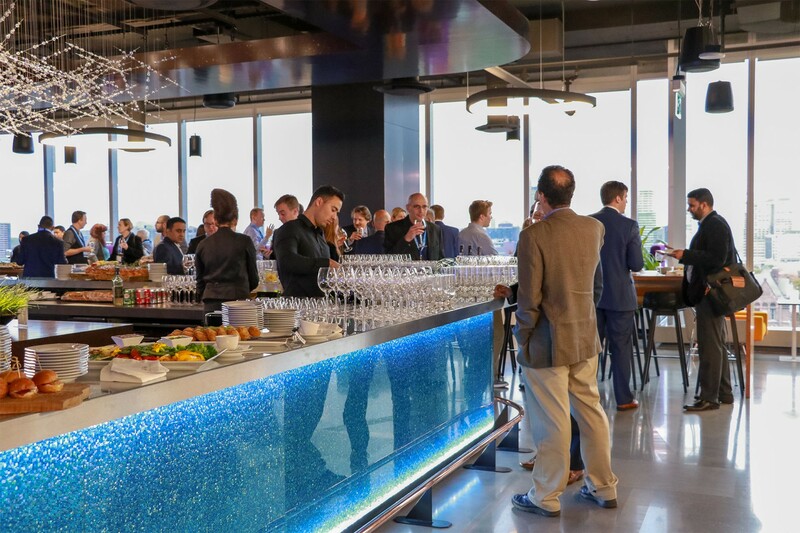 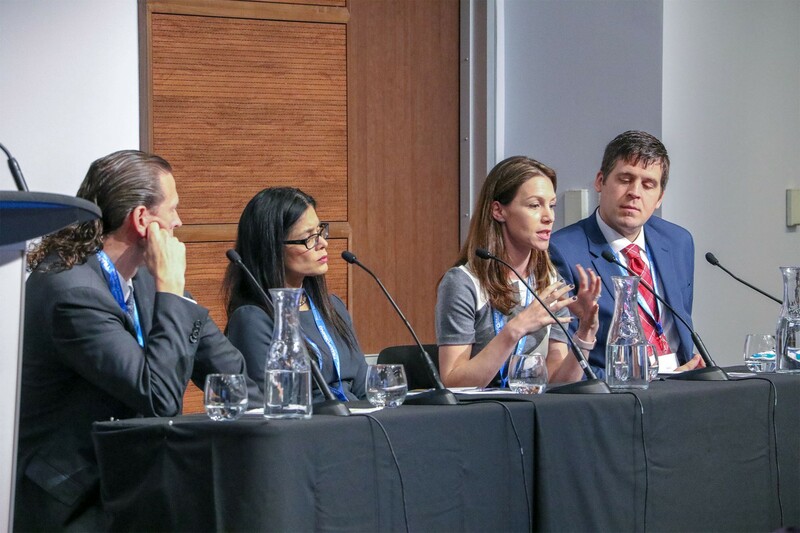 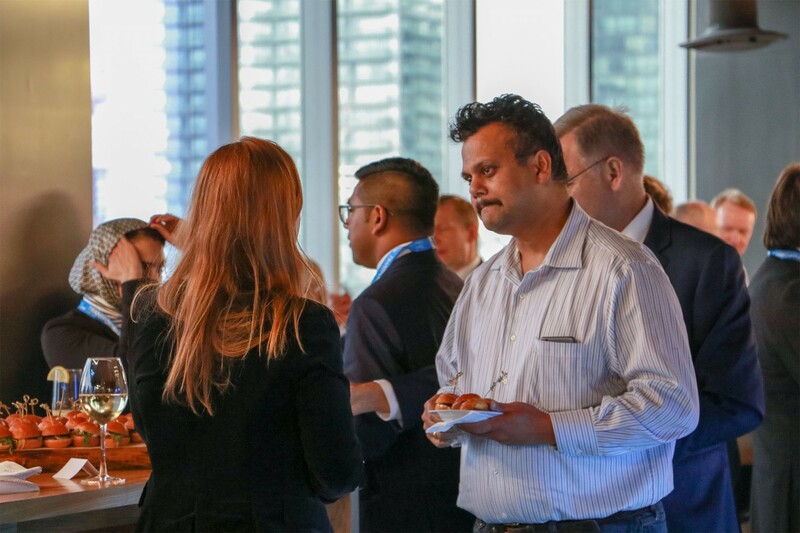 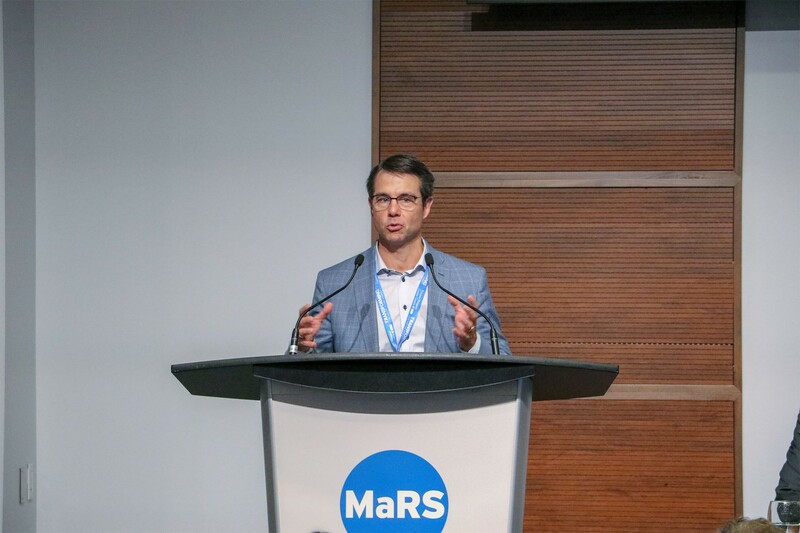 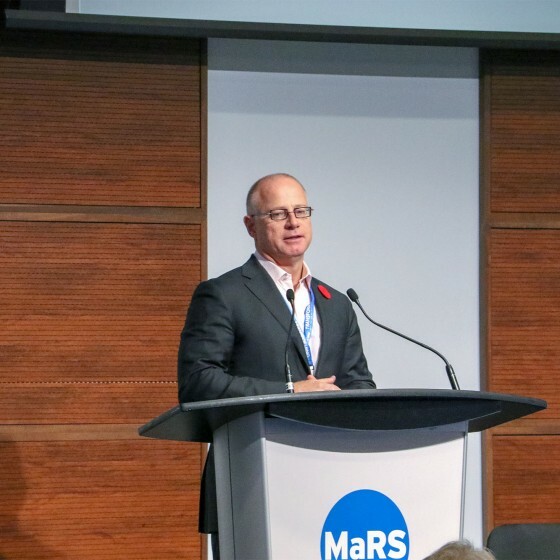 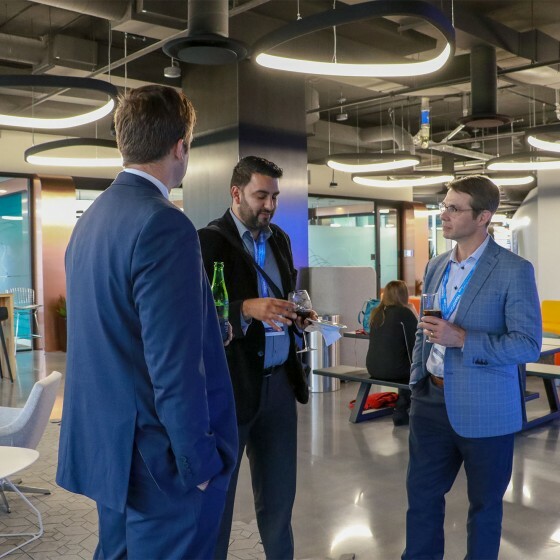 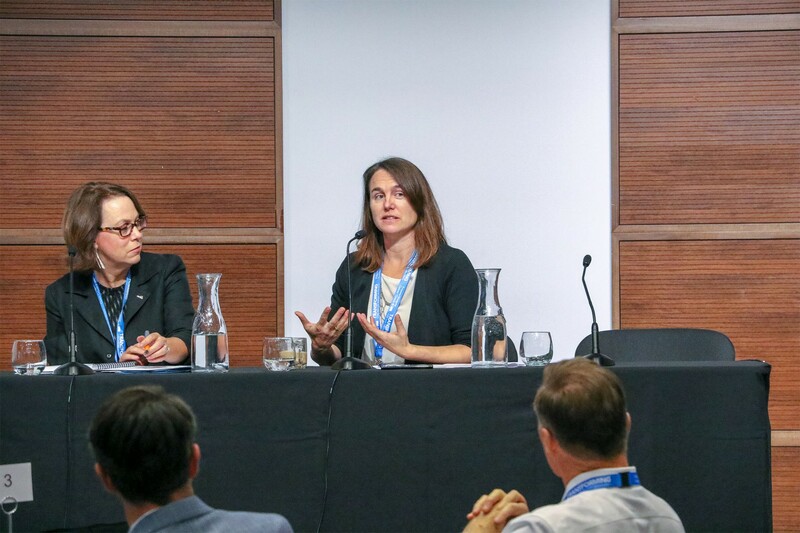 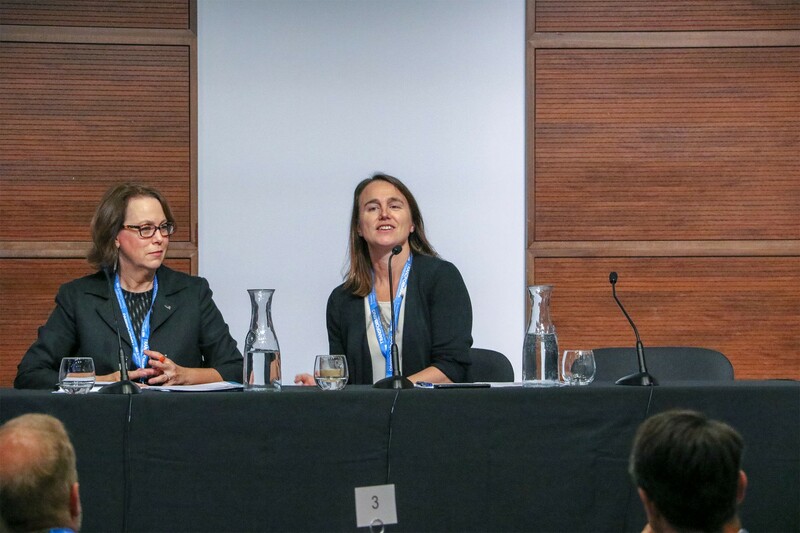 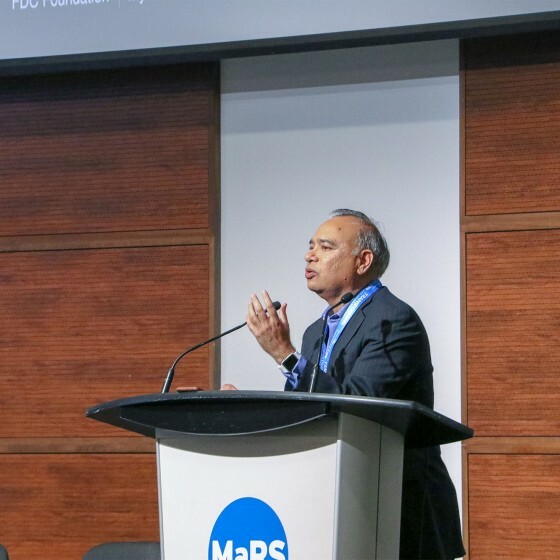 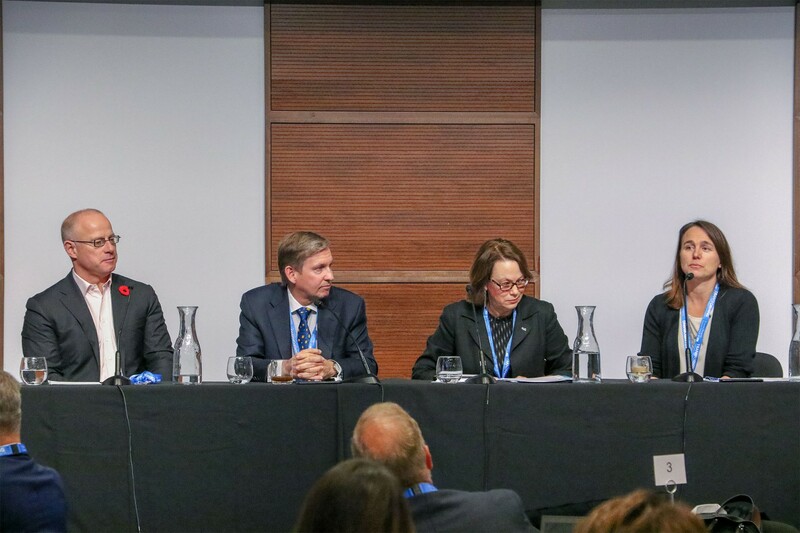 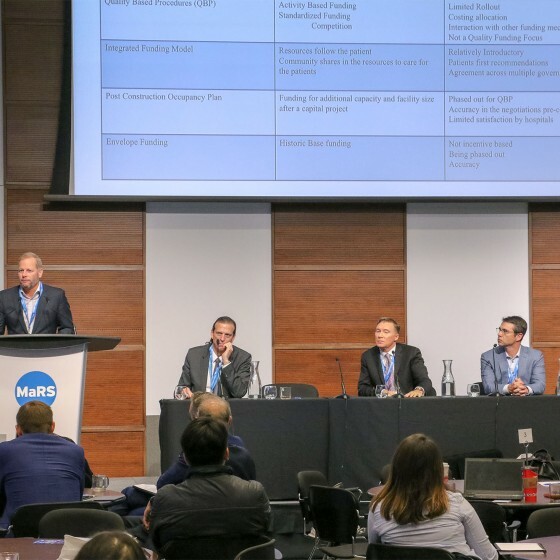 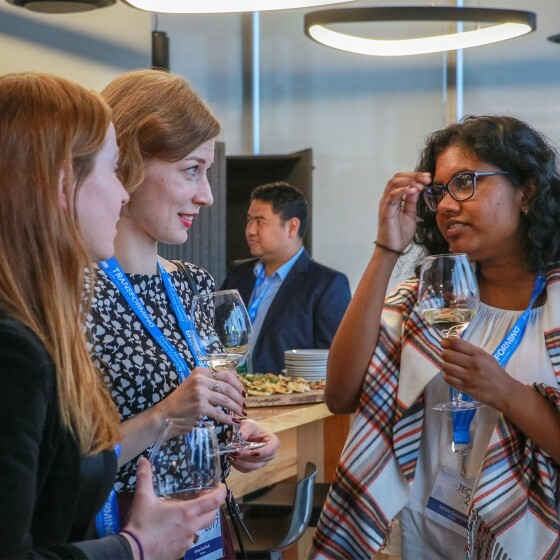 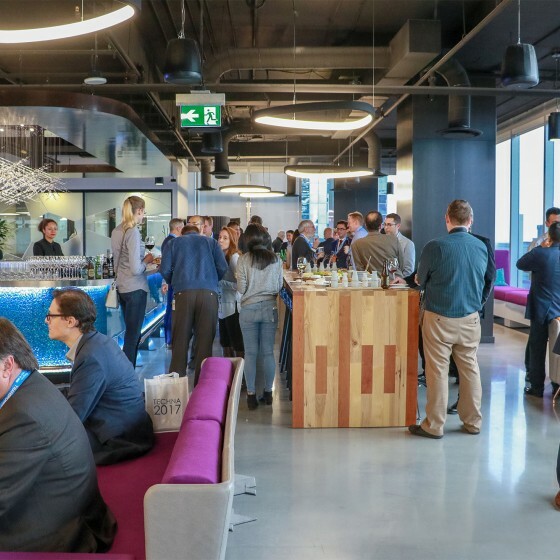 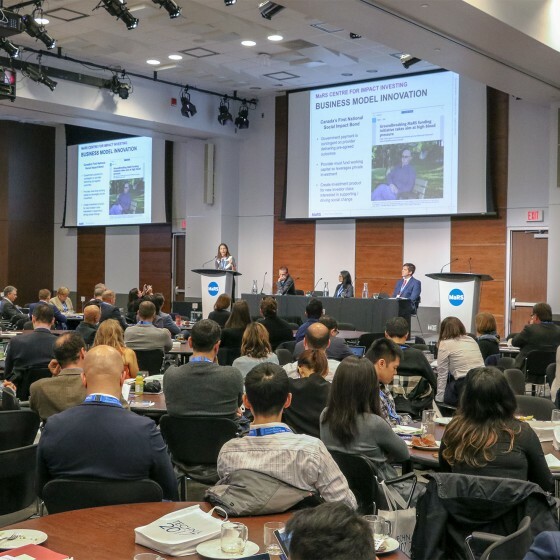 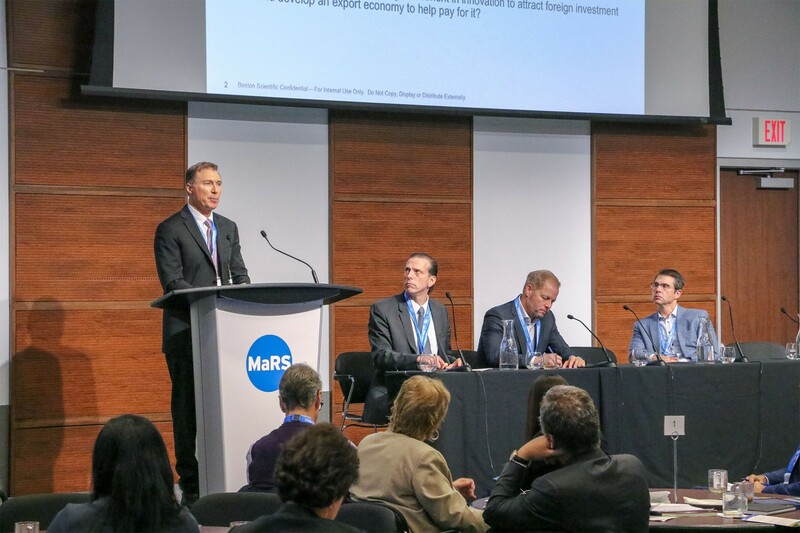 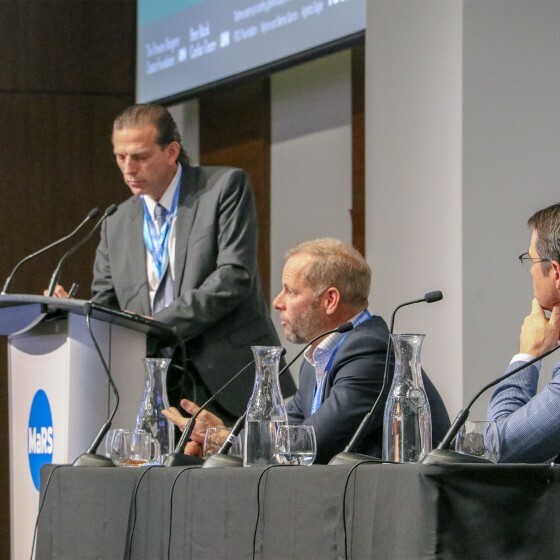 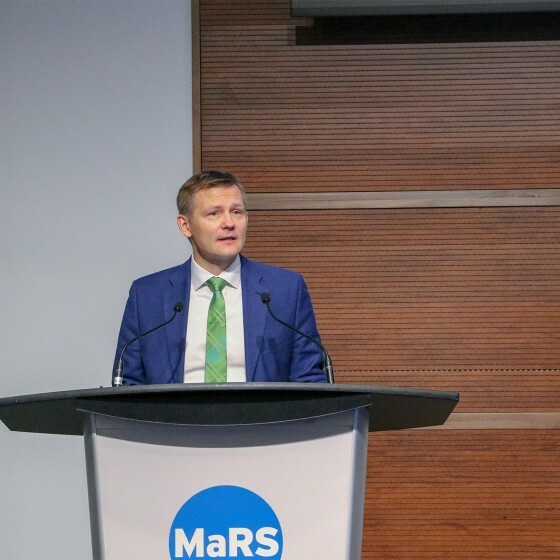 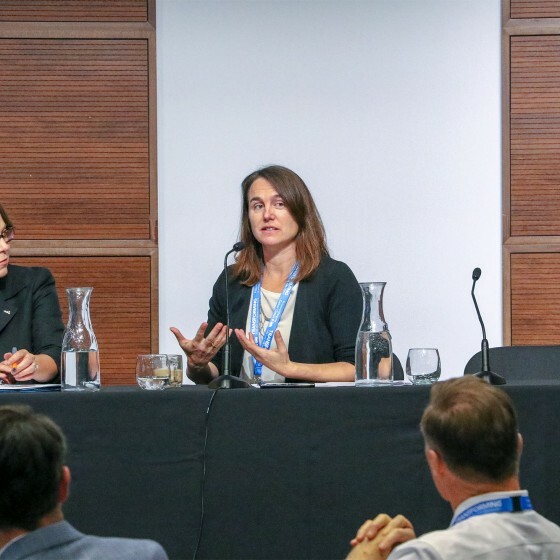 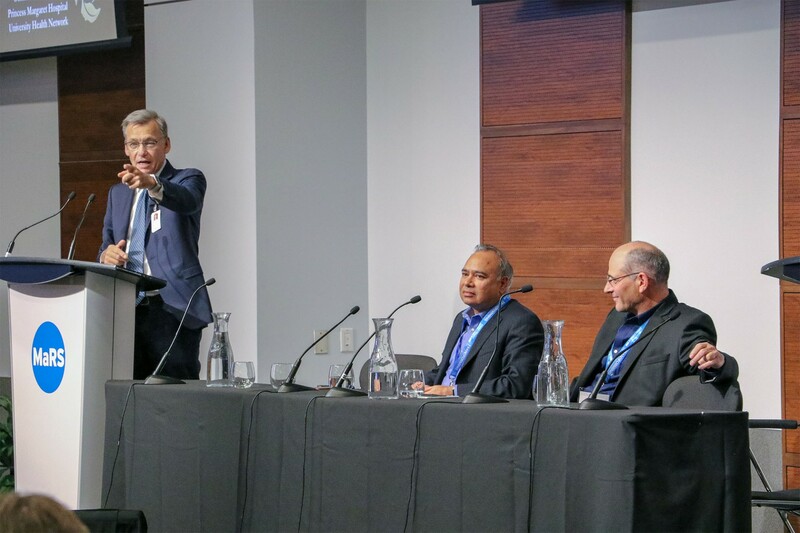 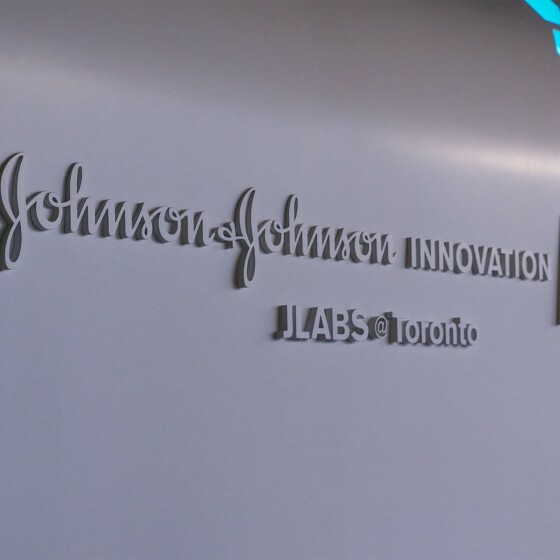 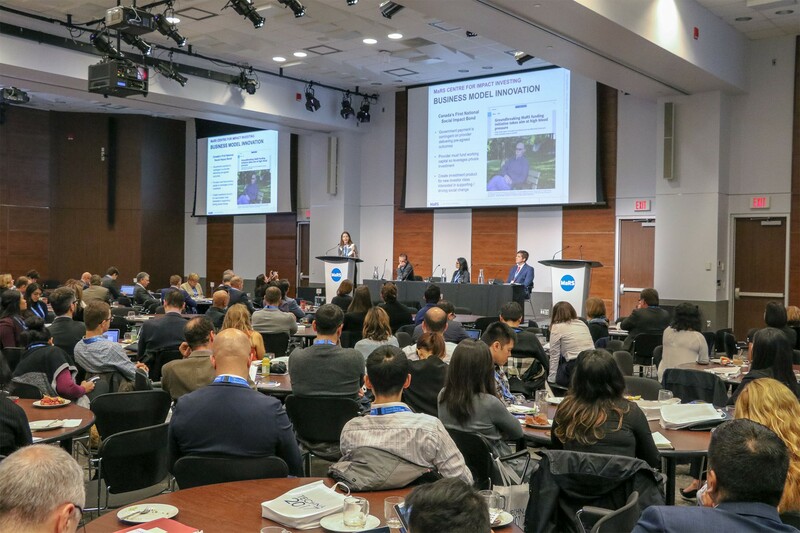 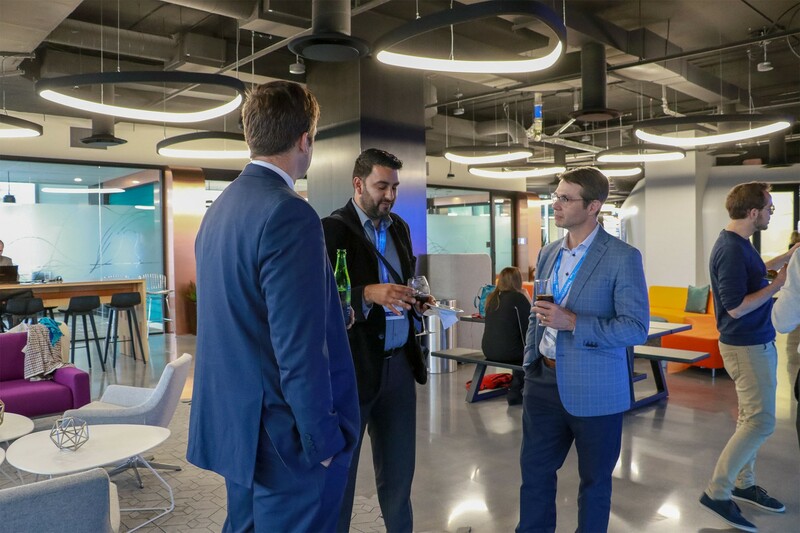 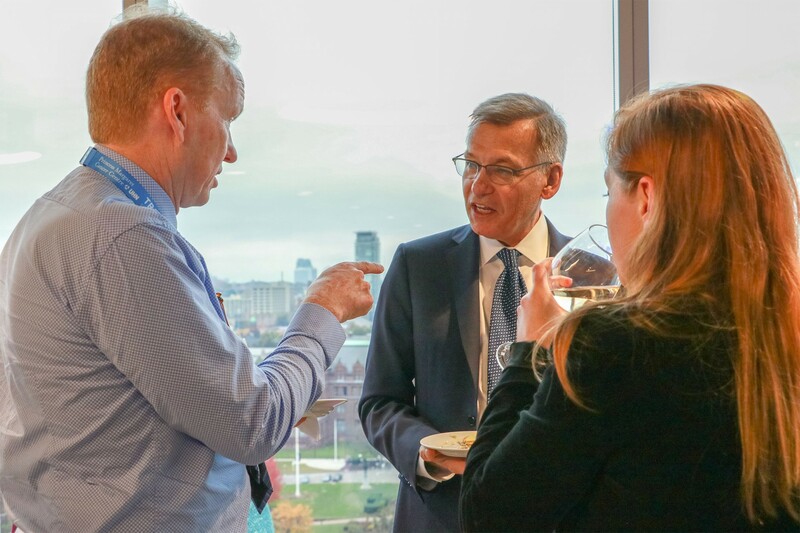 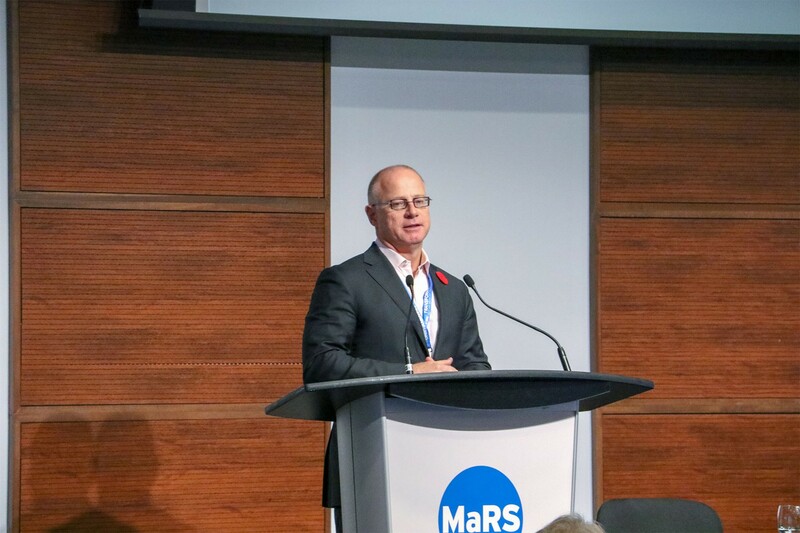 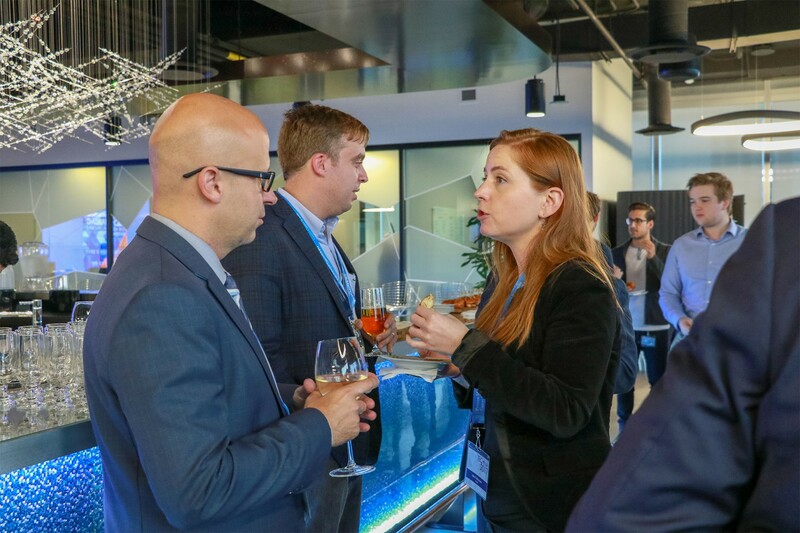 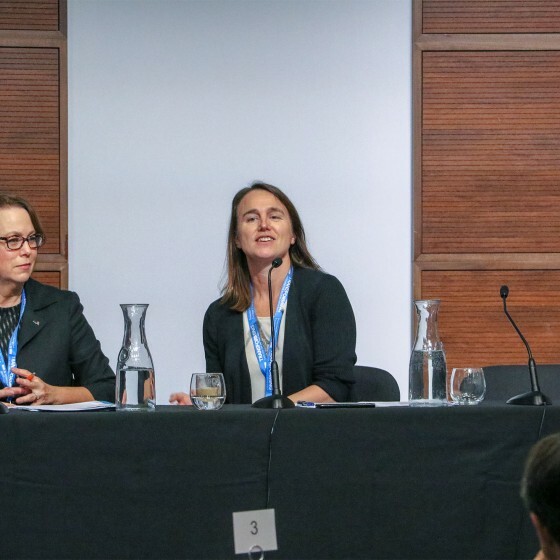 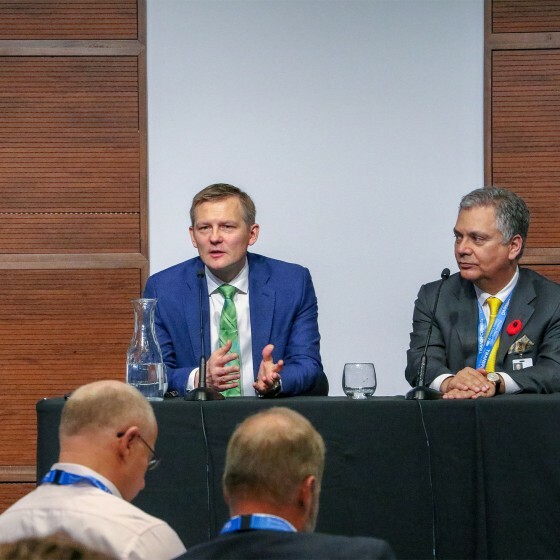 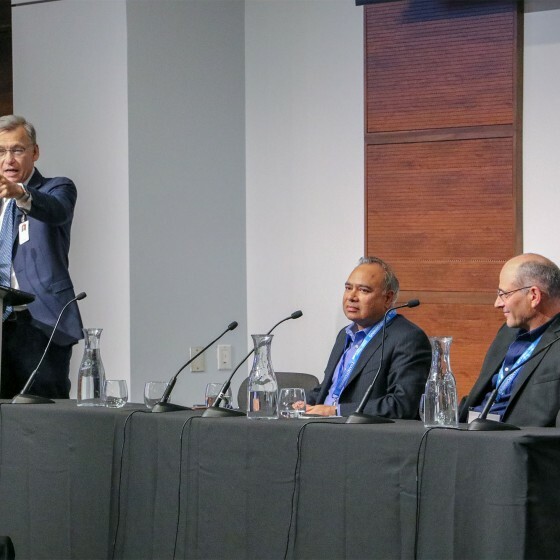 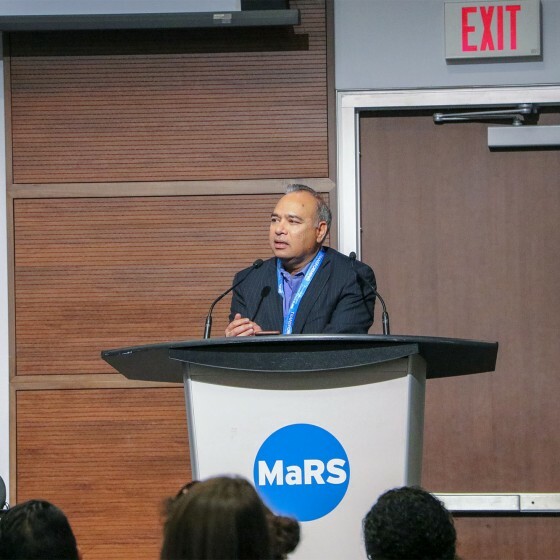 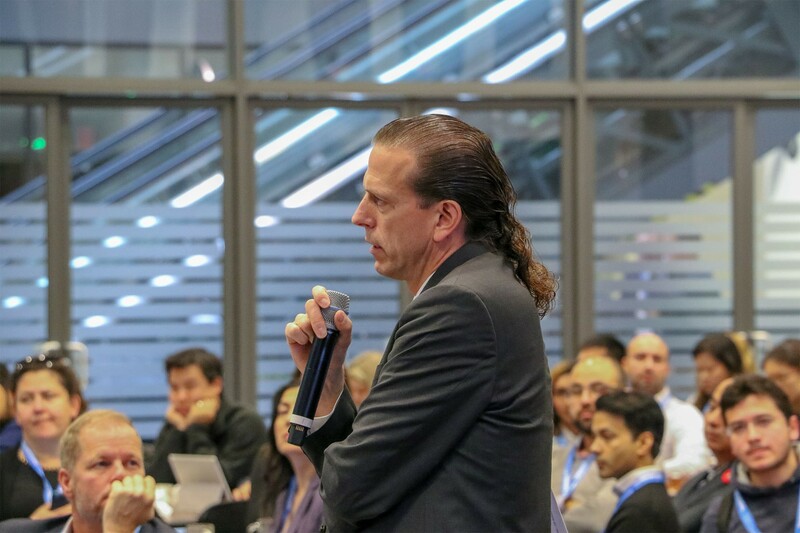 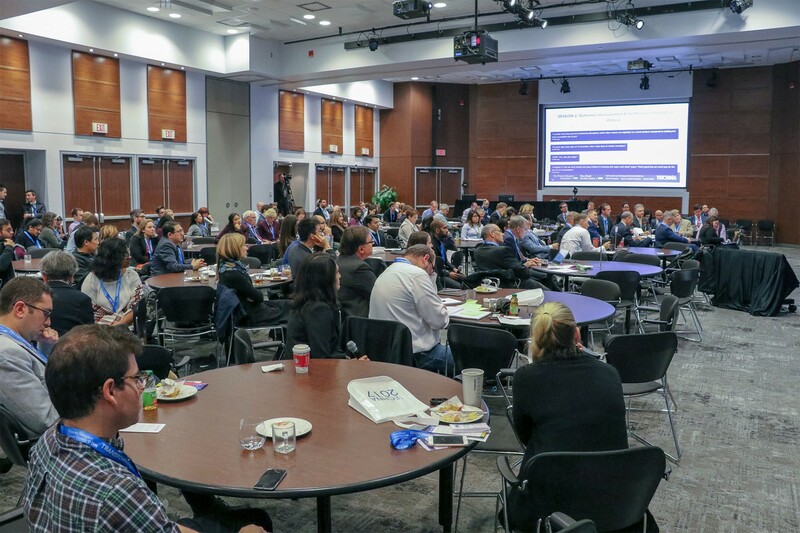 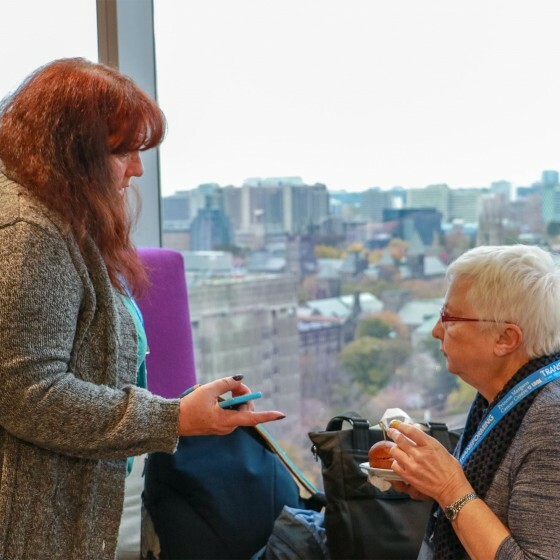 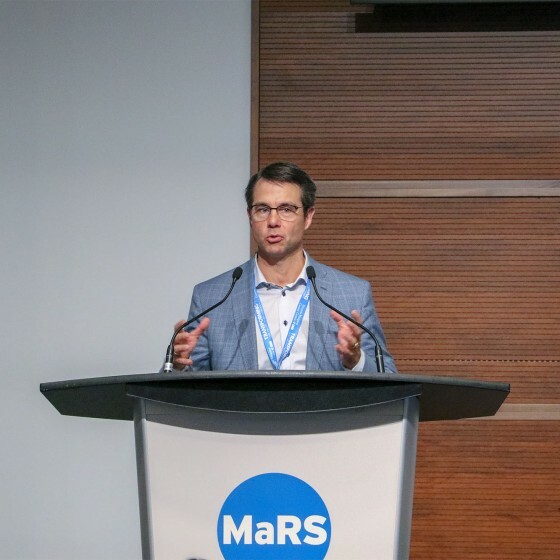 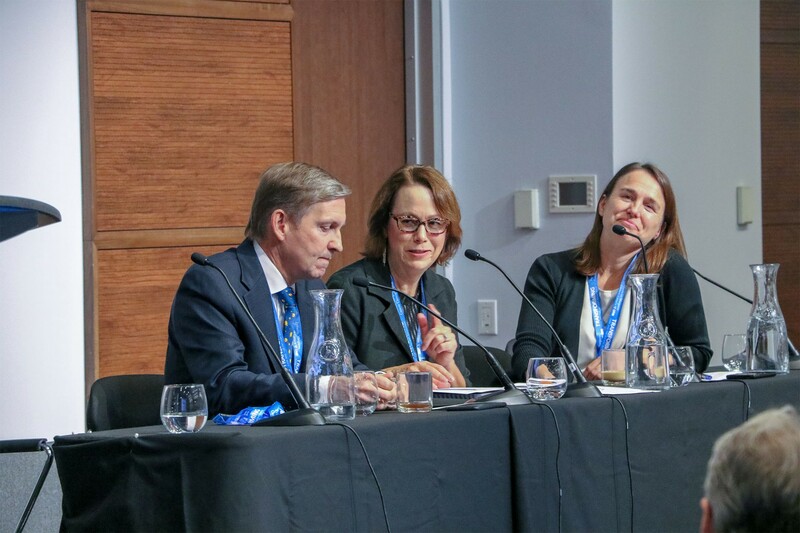 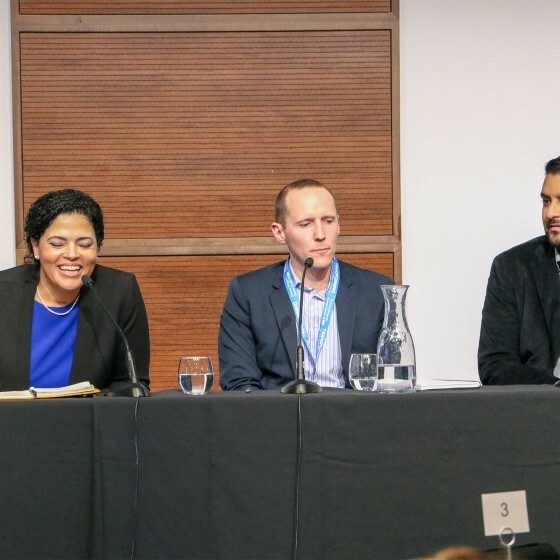 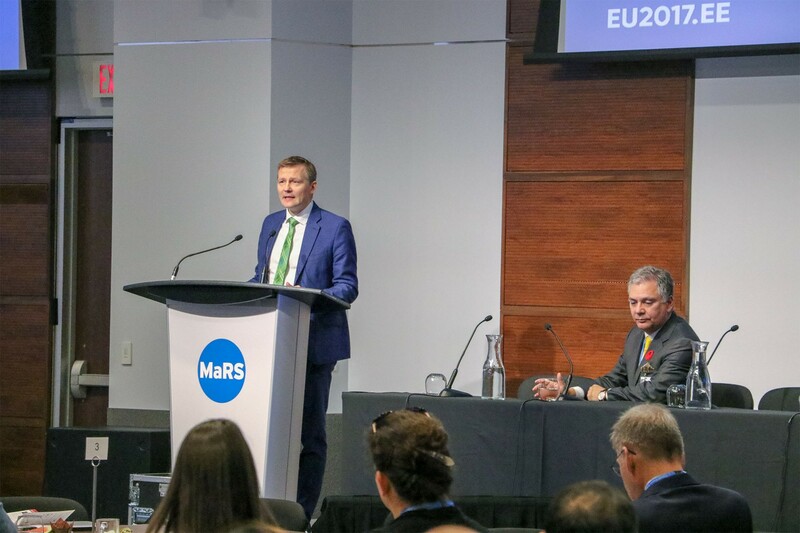 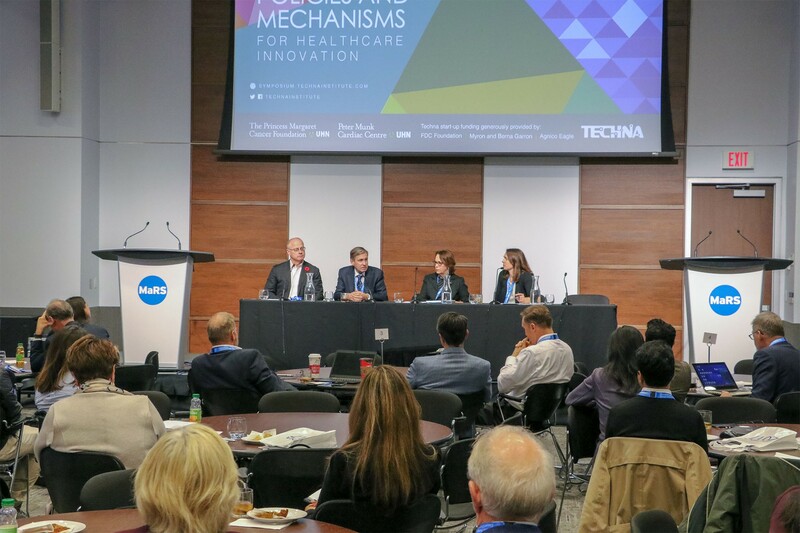 We had various speakers discuss their global models of healthcare innovation and outcomes measurement, current and future state of Ontario Healthcare Innovation and how would outcomes-based funding spur innovation in Ontario. 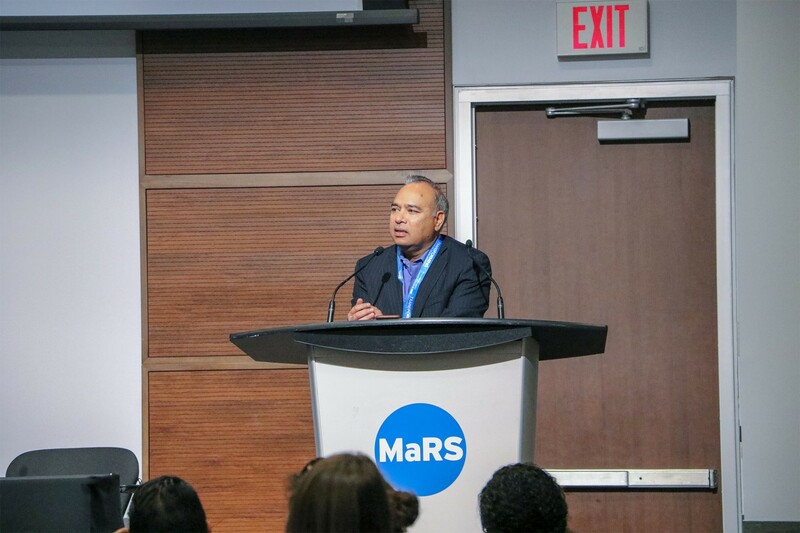 Rifat Atun was our other keynote speaker from Harvard University who presented and gave us a detailed global health systems level perspective. 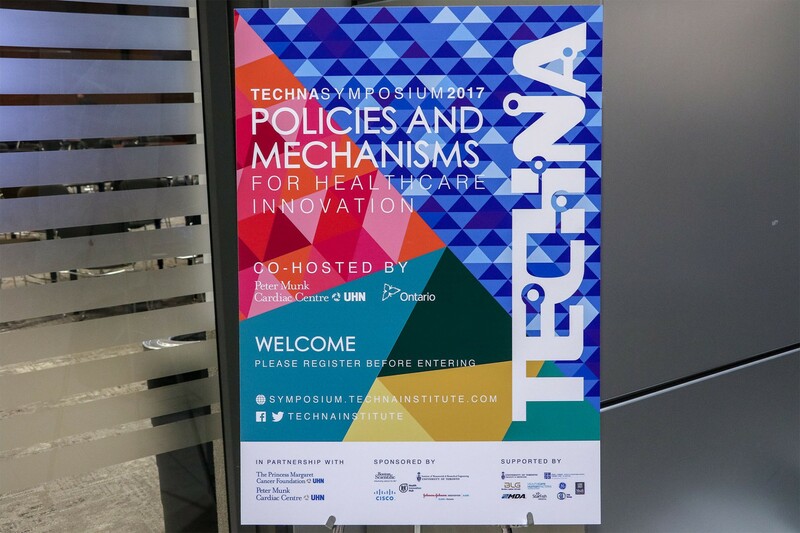 Our debate focused on Medtech companies and if they will stay in Ontario if outcomes-based care is adopted. 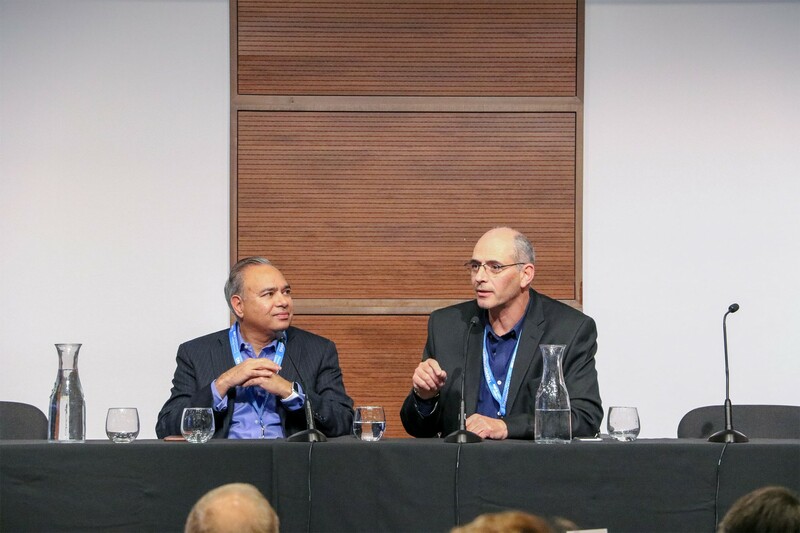 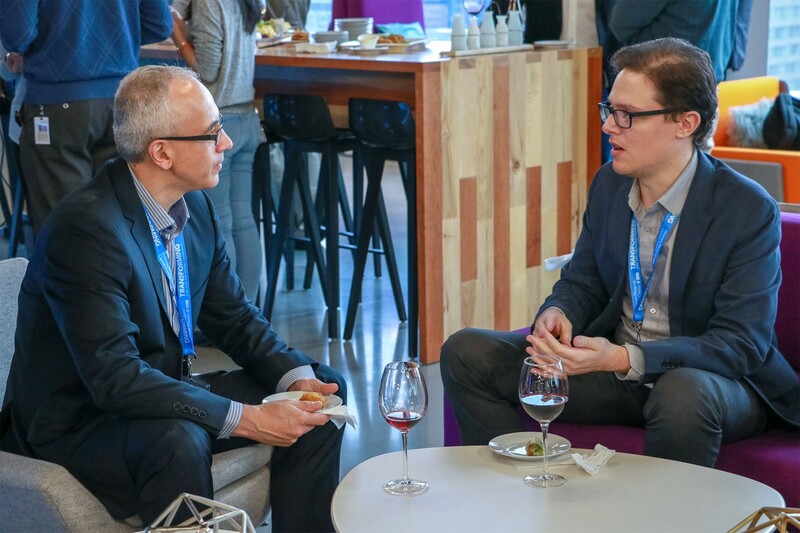 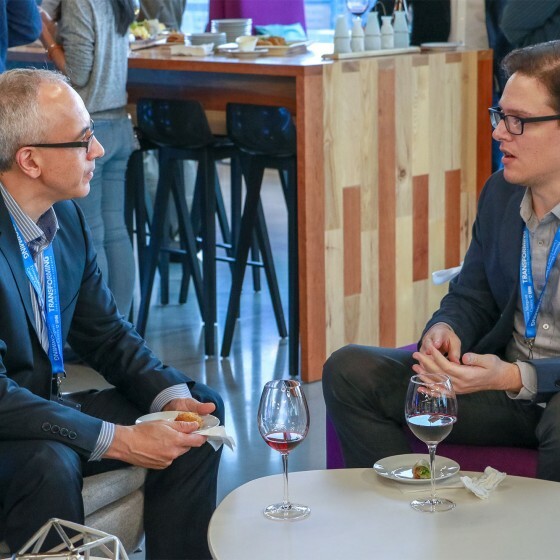 Lahav Gil and Arun Menawat both debated on the advantages and disadvantages of value-based healthcare and the stages and costs of this adoption. 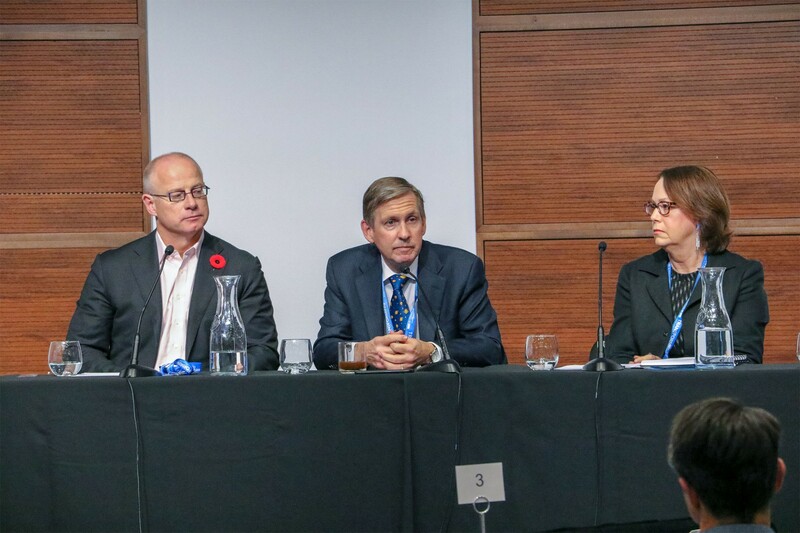 Afterwards, we had a post-debate panel of speakers give their insight into this topic. 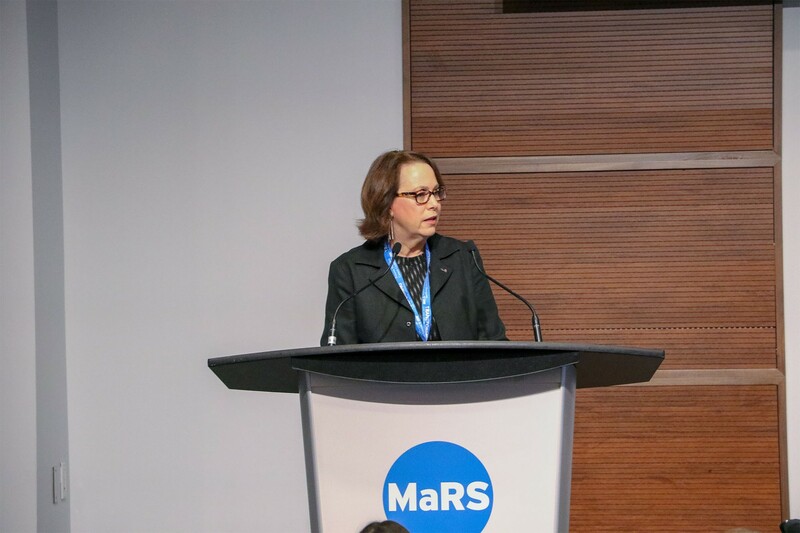 Linda Maxwell discussed value-based case and its 4 pillars of data and analytics, business model, infrastructure, and funding. 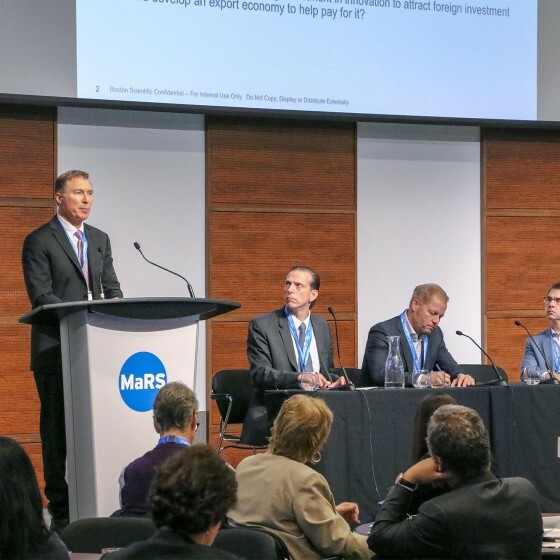 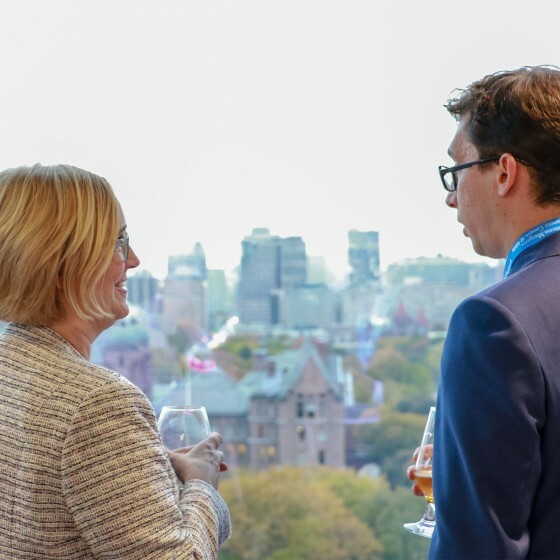 Beau Standish spoke on the benefit of leaving and then returning to Ontario to further expand on opportunities and challenges. 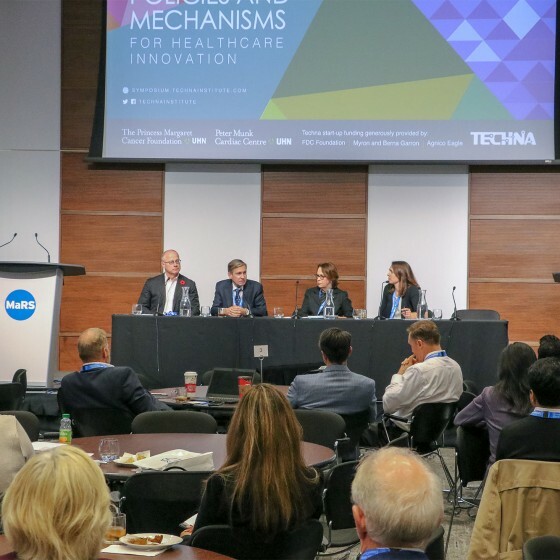 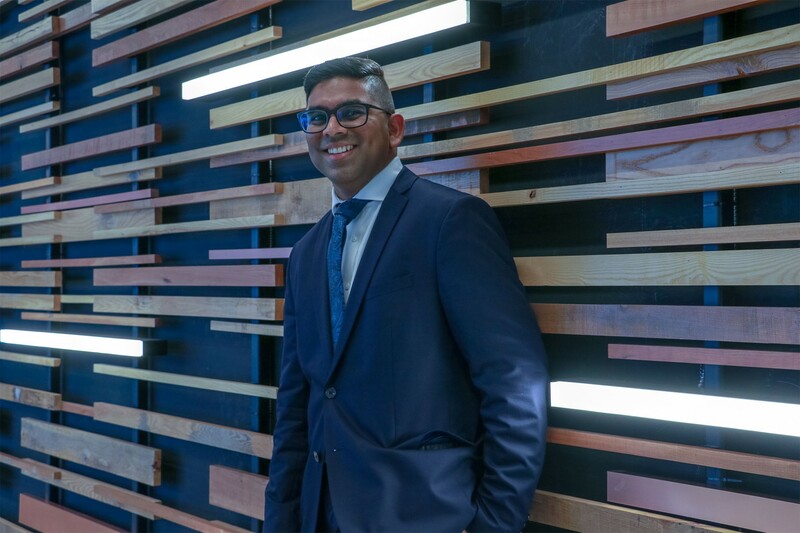 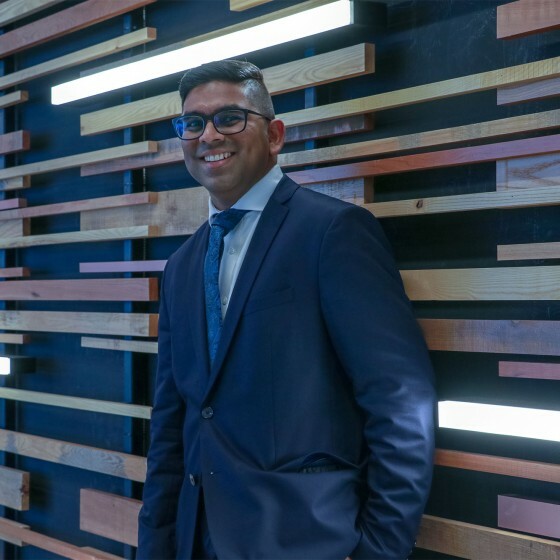 In addition, Aman Thind supported both Linda and Beau’s viewpoint and mentions that growth in our future relies on showing the metrics of value-based care early in technological development. 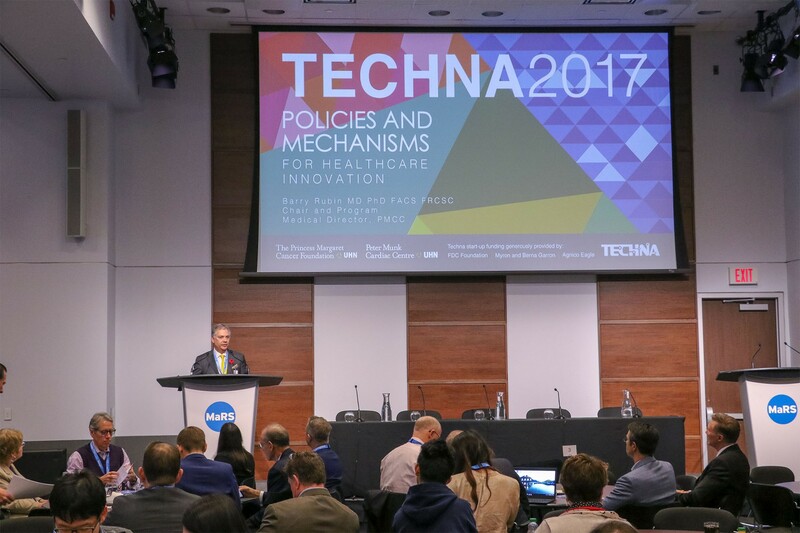 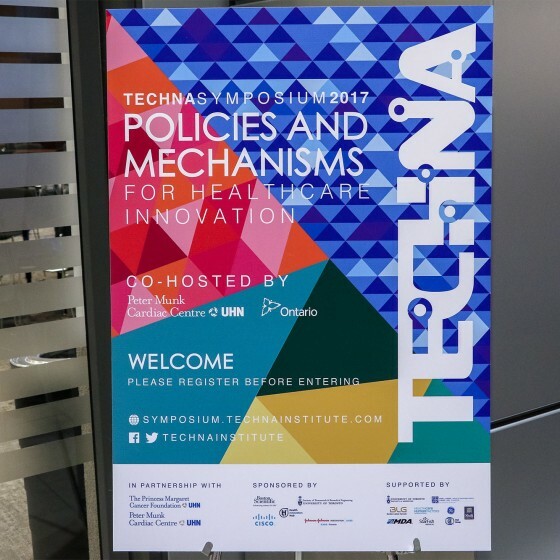 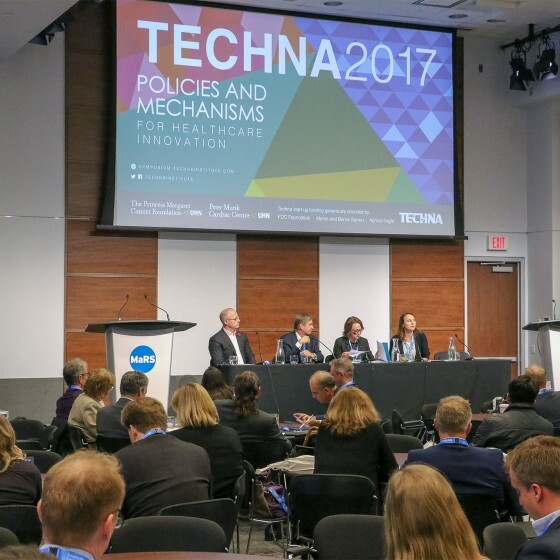 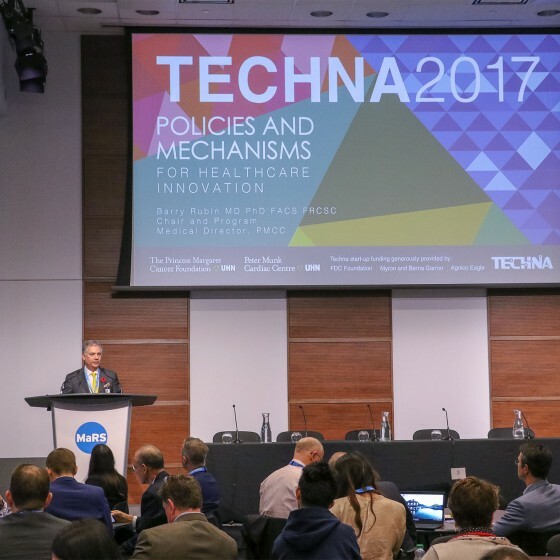 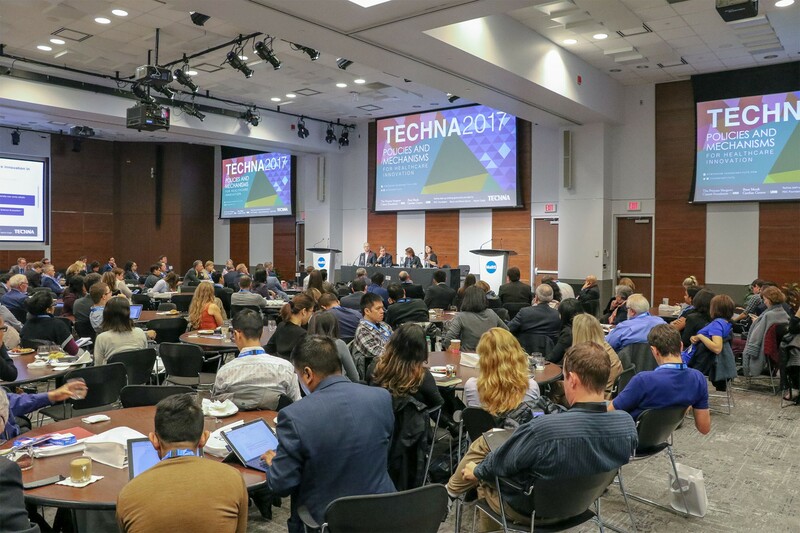 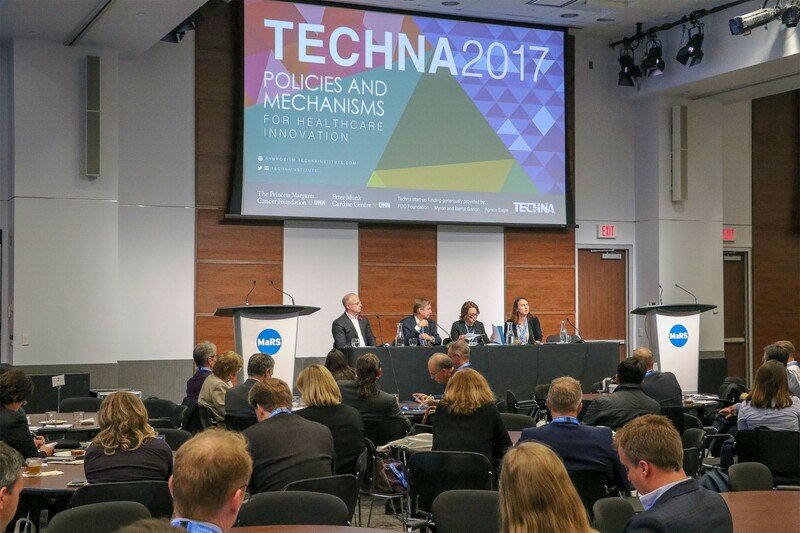 In conclusion, Techna 2017 was an insightful and successful symposium where we enjoyed hearing from various areas of expertise from provincial, national and global institutional levels of healthcare innovation.